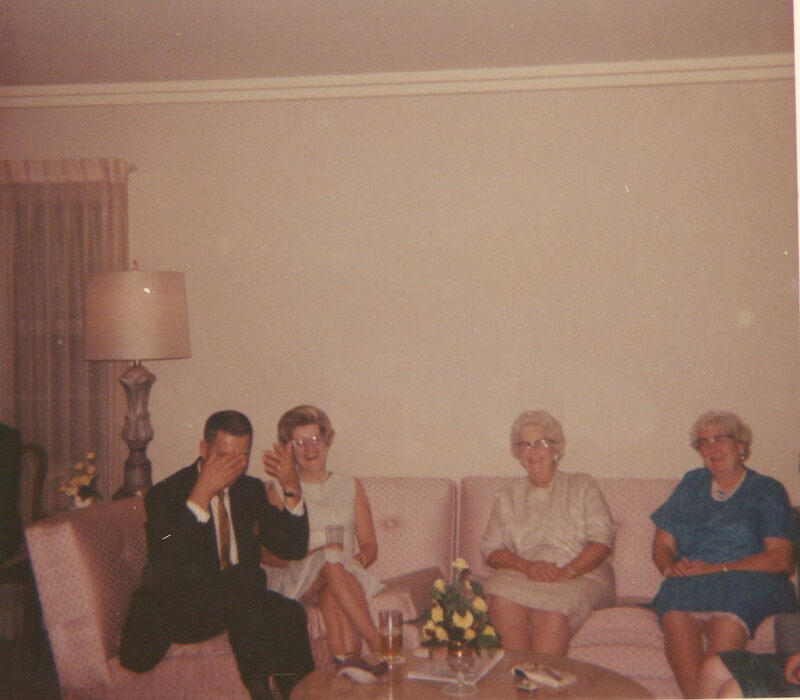 Please send me an email to correct spelling or to tell me anything about the people in these photos. doug@dougfejer.com You can also internet chat with me. My aol screenname is fejerdoug. My yahoo screenname is dougfejer. I am online virtually all of the time using the AOL chat software. Roselears, Pearl & Mort Rosso, Jan 1962. 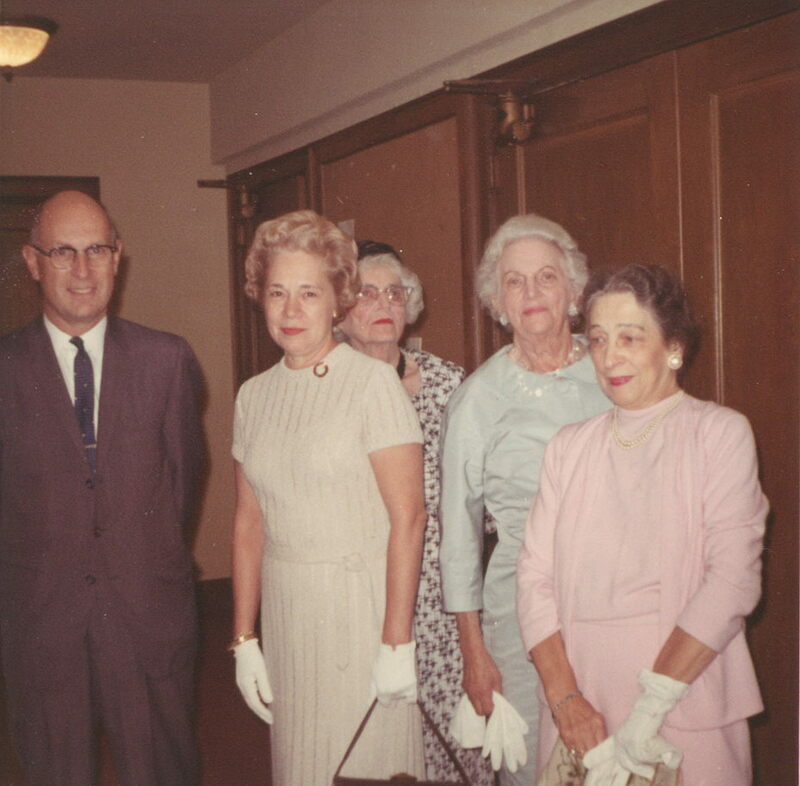 At home living room, 9-12-66, Henry Fretz, Betty Fretz, Hazel Smith and sister, Lillian Sebolt. 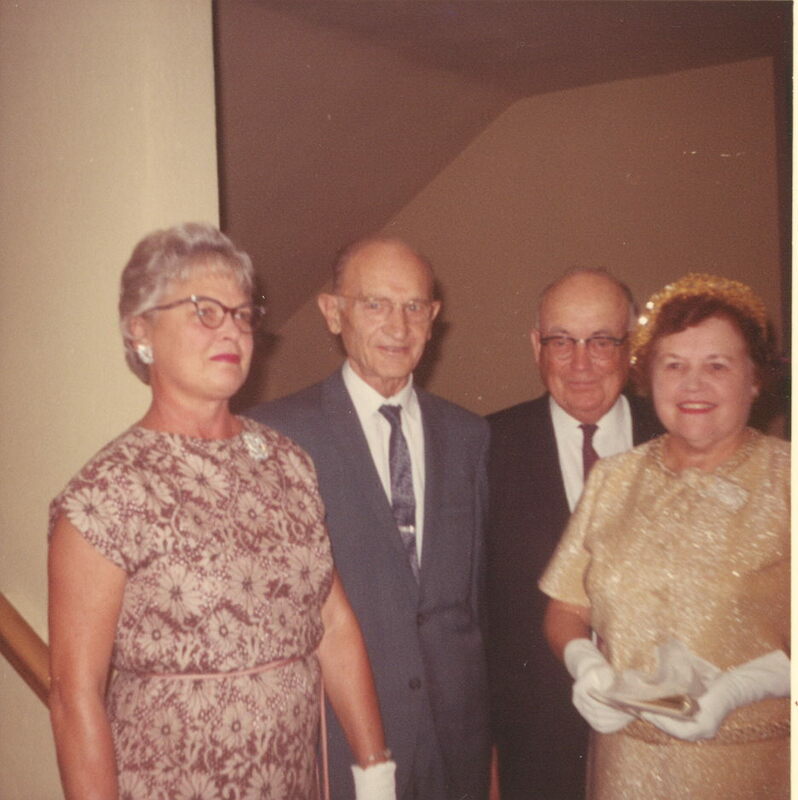 Mr. & Mrs. Frank Miller, Mr. and Mrs. Clifford Deuel. 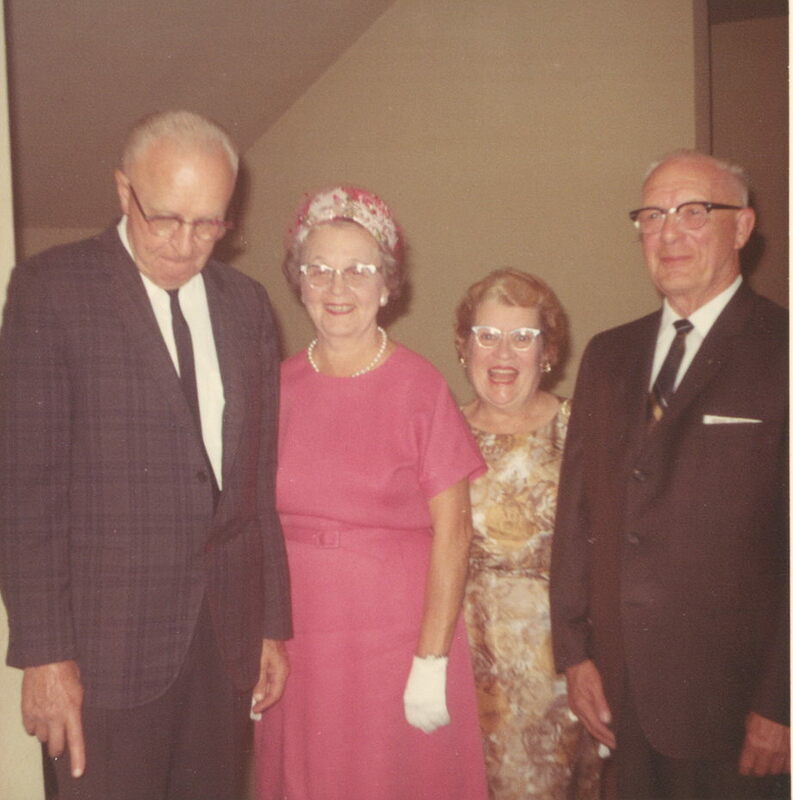 Mr. & Mrs. Edward O. Meyer, Mr. & Mrs. Lee Kittredge. Mr. & Mrs. Don Gerkey, Jr. Mr. and Mrs Isaac Hartung. 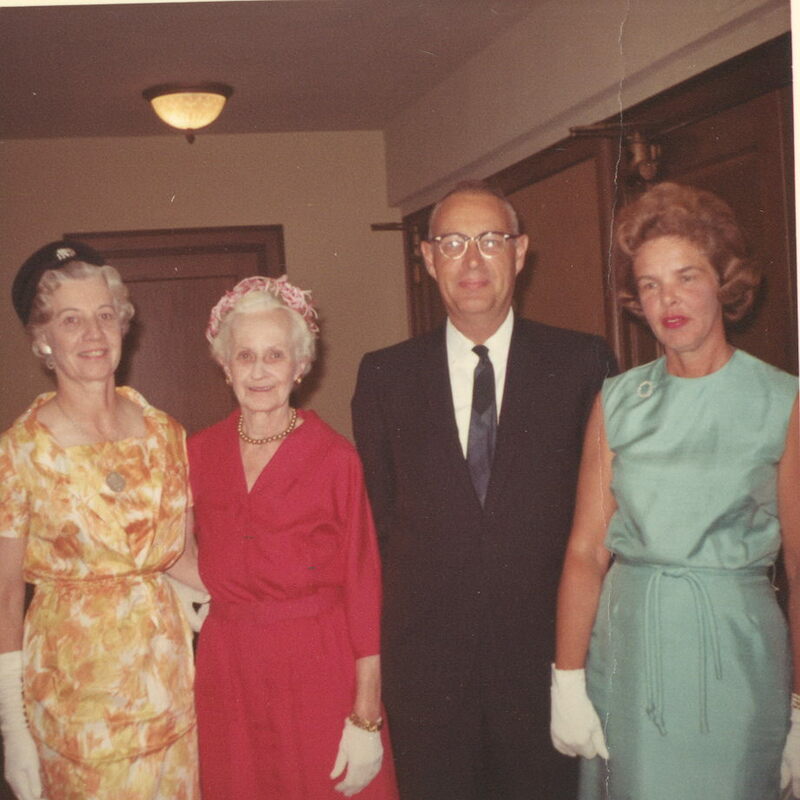 Miss Frances Stubbs, Dr. & Mrs. Clayton Stubbs. Mr. & Mrs. Theodore De Groot. 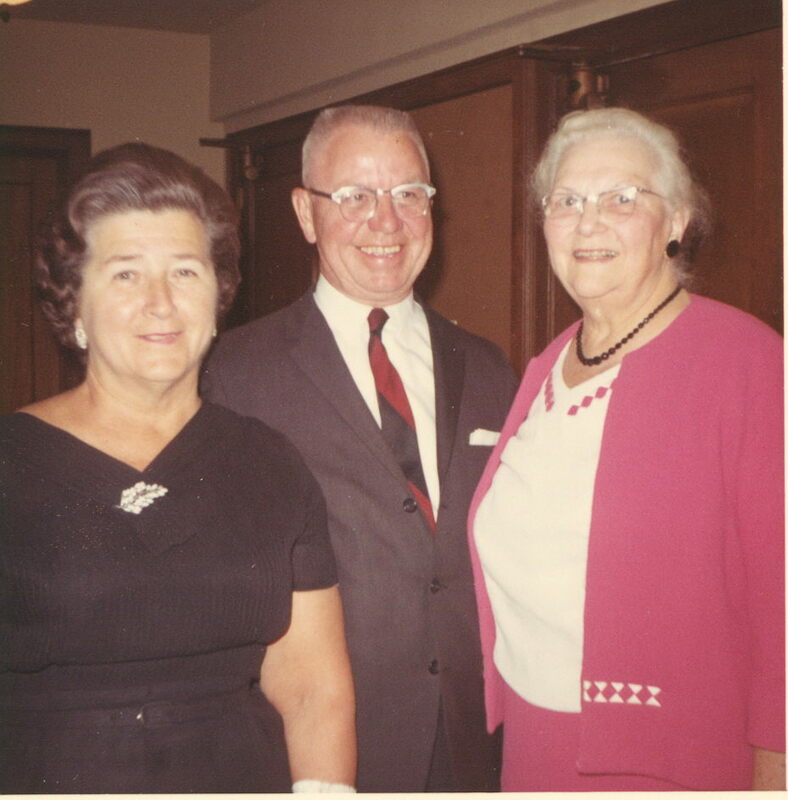 Mrs. Stanley Peltier (Mamie), Mr. & Mrs. Milton Penzien (My 7th grade math teacher???) Mr. & Mrs. Richard Williams. Mr. and Mrs. Clarence Barck, Mr. & Mrs. Franz Rooney, Mr. & Mrs. Gerry Sans. 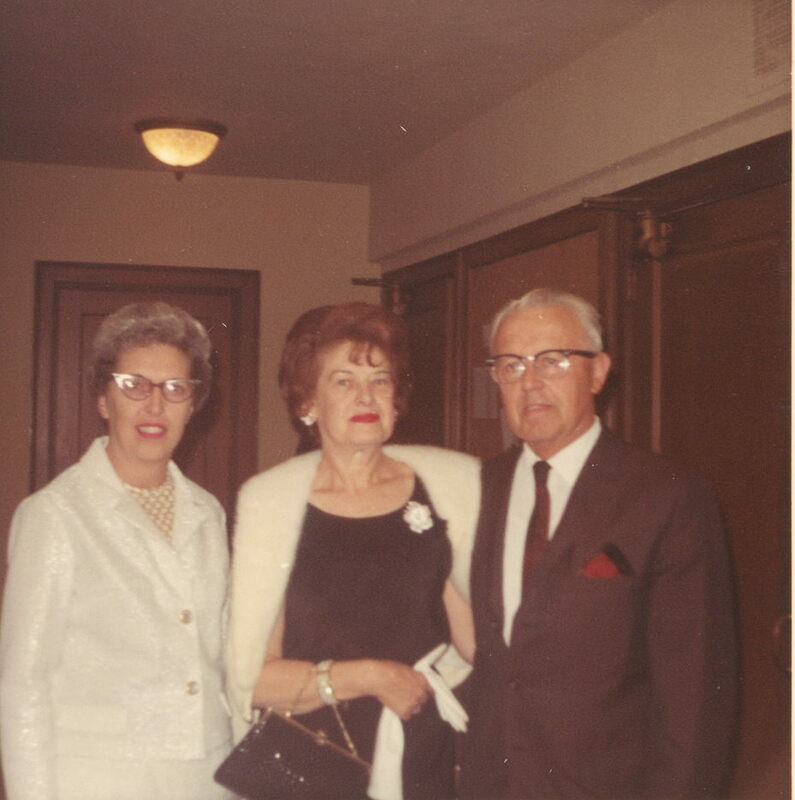 Mr. & Mrs. Otto Nickel, Mars Sydney Tinkler. Mr. & Mrs. James Slaughter, Paul Sonnenberg. 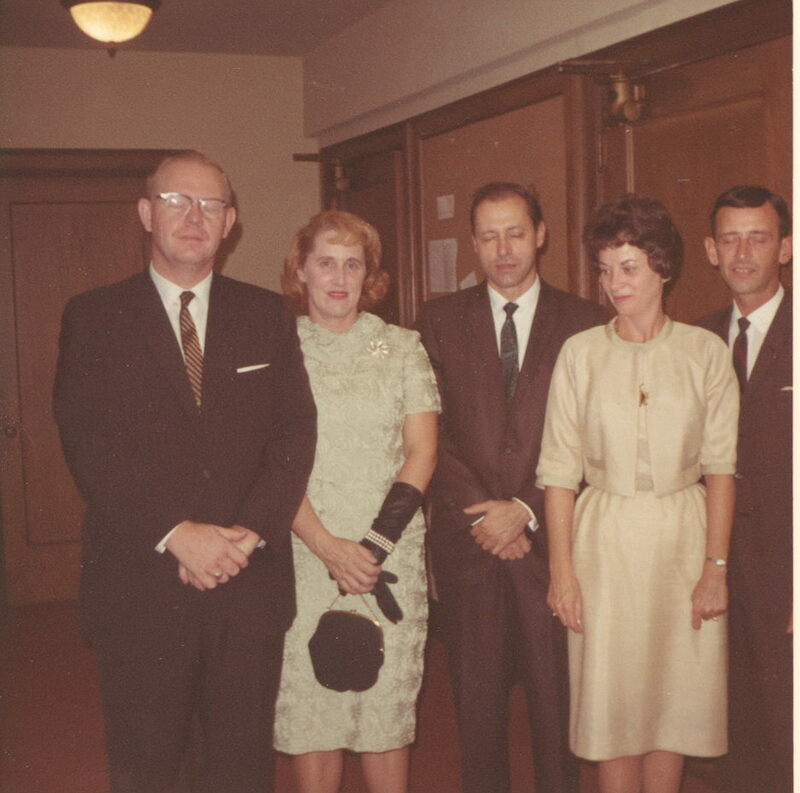 Mr. & Mrs. John Kurz, Mr. and Mrs. Howard Groesbeck, Jr.
Mr. & Mrs. George McCollough, Mr. & Mrs. George Priehs. 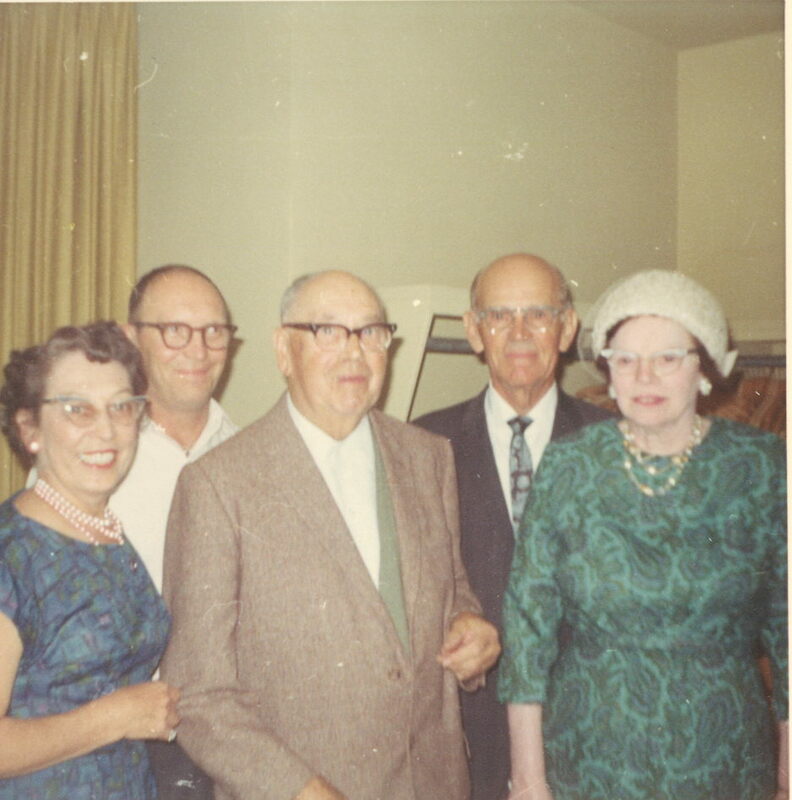 Mr. & Mrs. Carl Graul, Mr. & Mrs. John Vice, Mr. & Mrs. Harold Charbeneau. 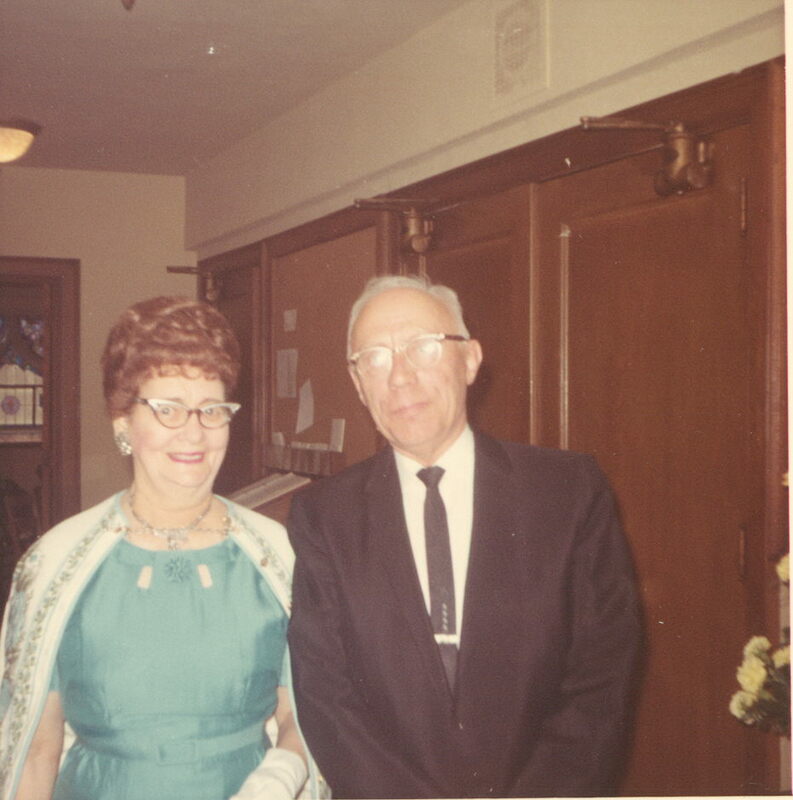 Mr. & Mrs. William Berkhof (Mr. Berkhof was superintendent of the Mt. Clemens Schools. He retired in the early 70'.) Mr. & Mrs. Eldon Valentine. Mr. & Mrs. Harold Green, Mr. & Mrs. Monte McFarlane. 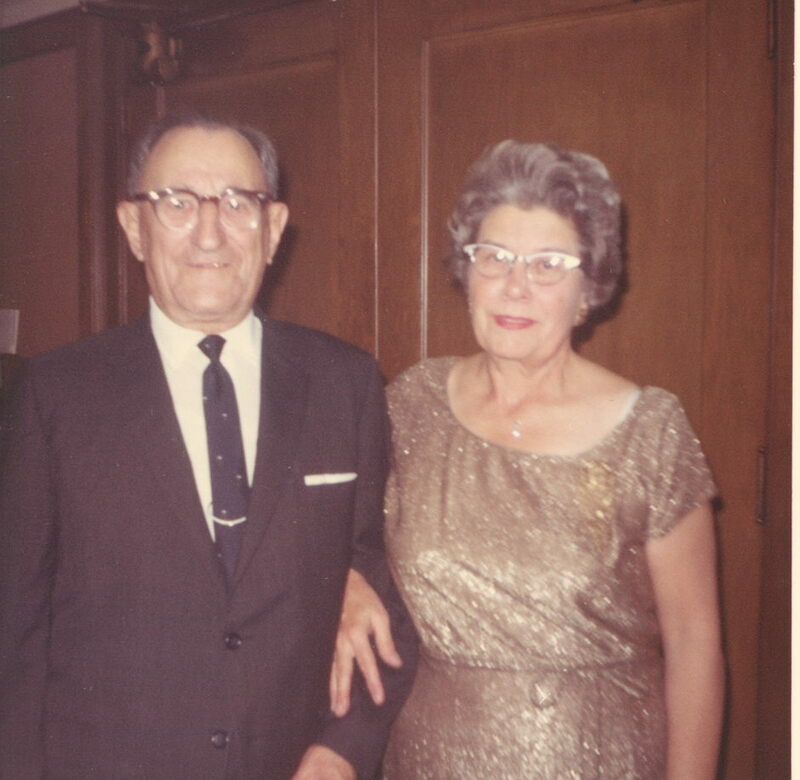 Mr. & Mrs. Hunter Judd (Mr. & Mrs. Judd were teachers at MCHS.) Mr. & Mrs. Guy Verkler. 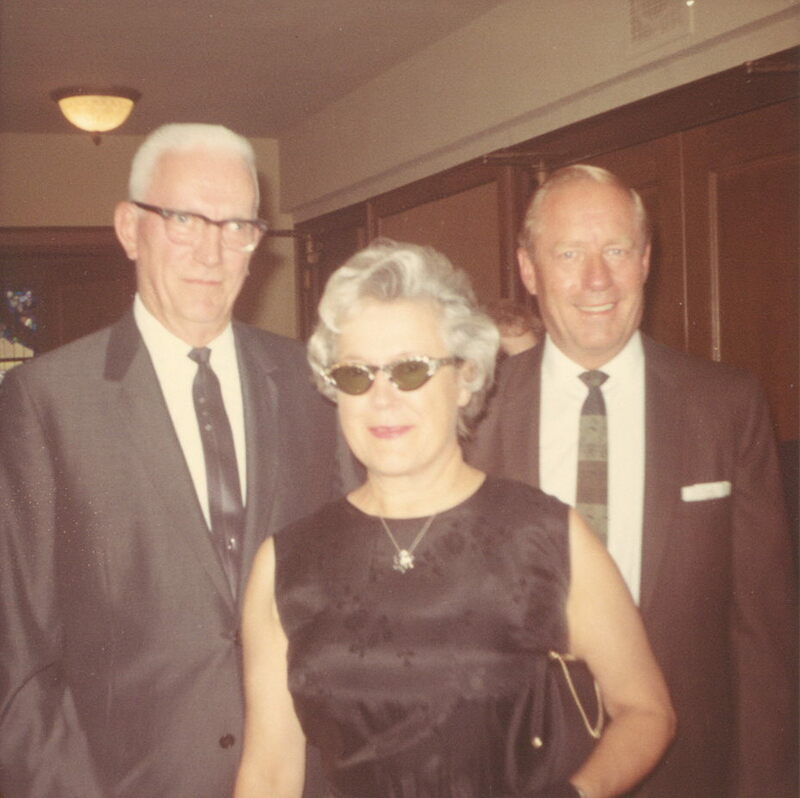 Mrs. merle Watkins, Mr. and Mrs. Roy Nickelson. 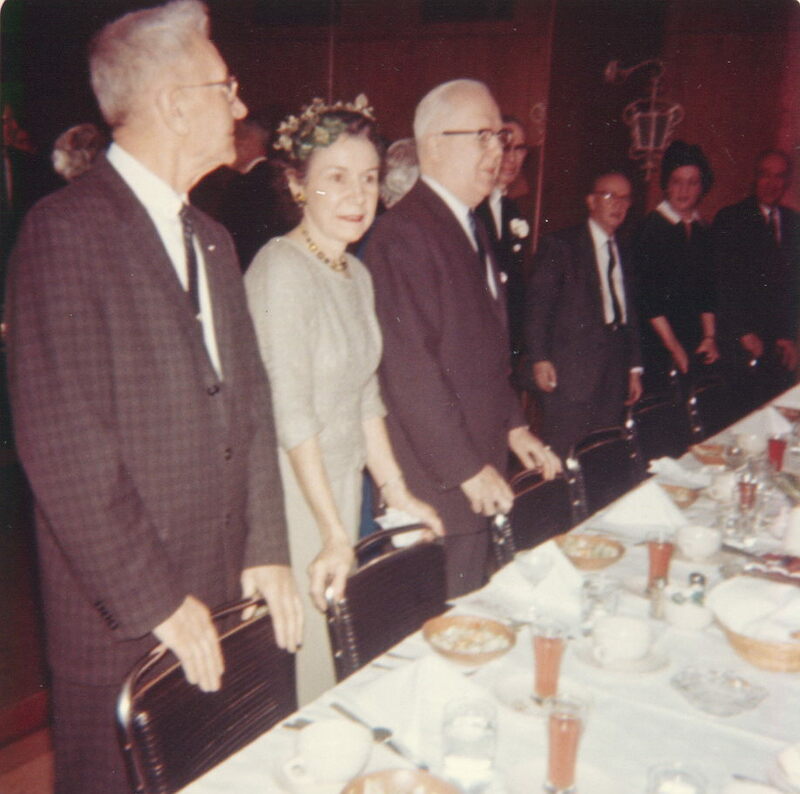 Judge & Mrs. Malcolm Trombley. 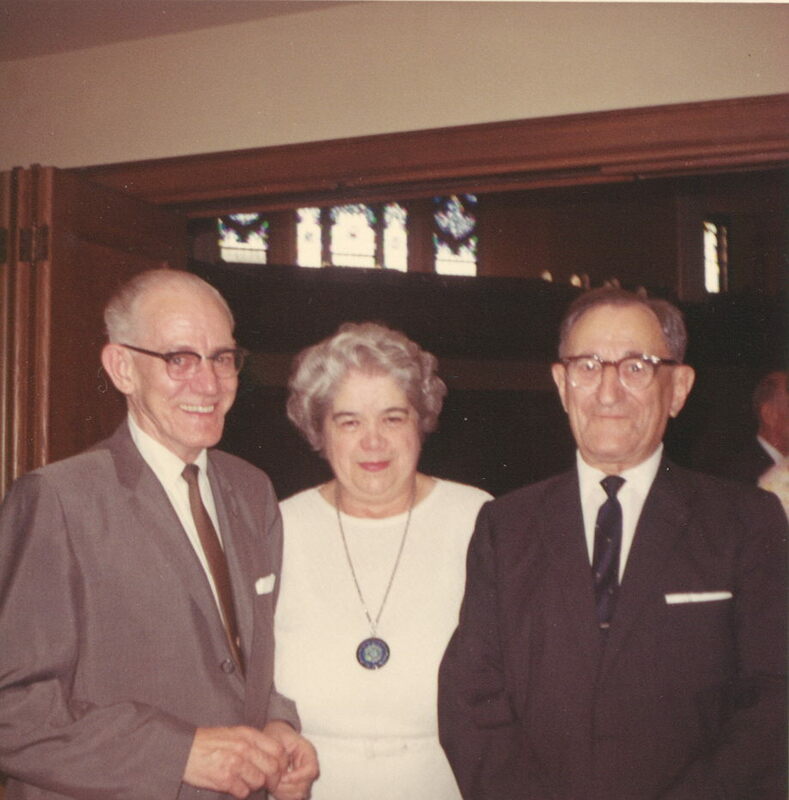 Mr. & Mrs. Adolph Magnes & Peter Vladeff. 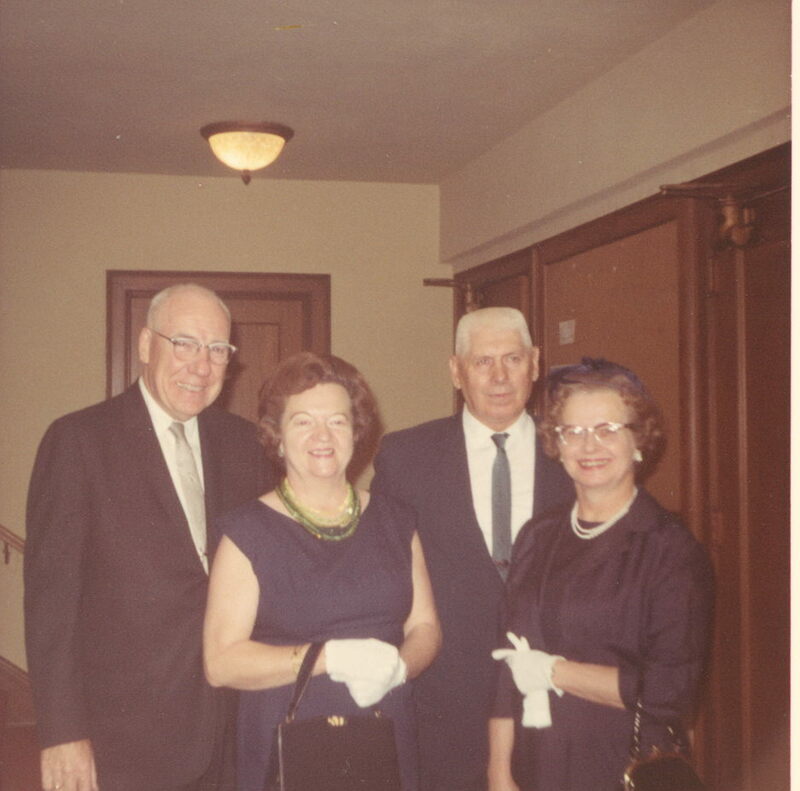 Mr. & Mrs. Kenneth Sanborn, Robert Walters, Mary ellen and Vance Frederick (Nappanee, Indiana. 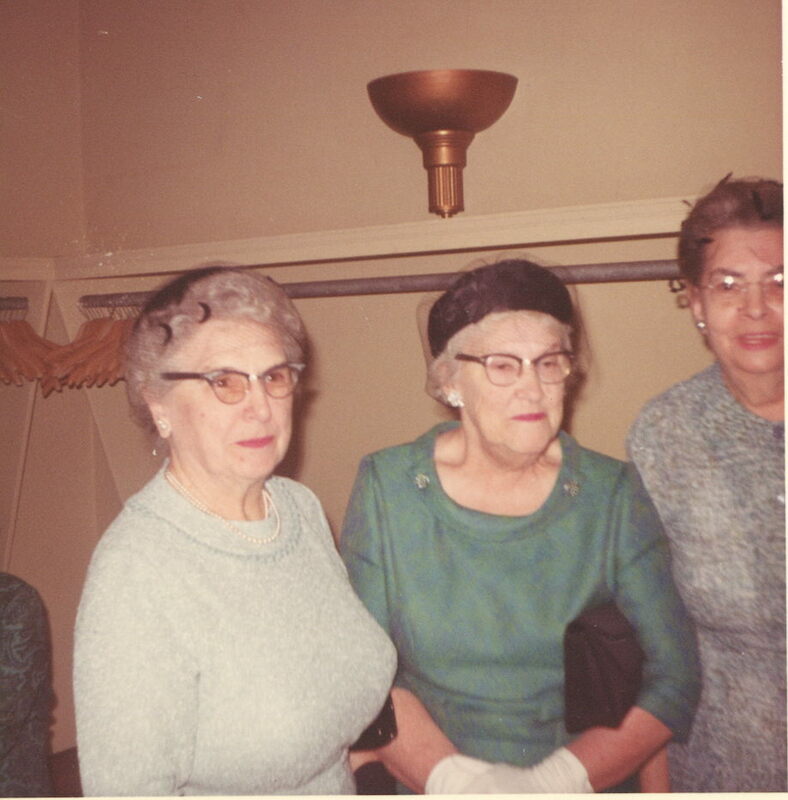 Diane Donaldson, Mrs. Edna Kruse, Miss. Rita Stockdale, Mar. & Mrs. Chas. Donaldson. 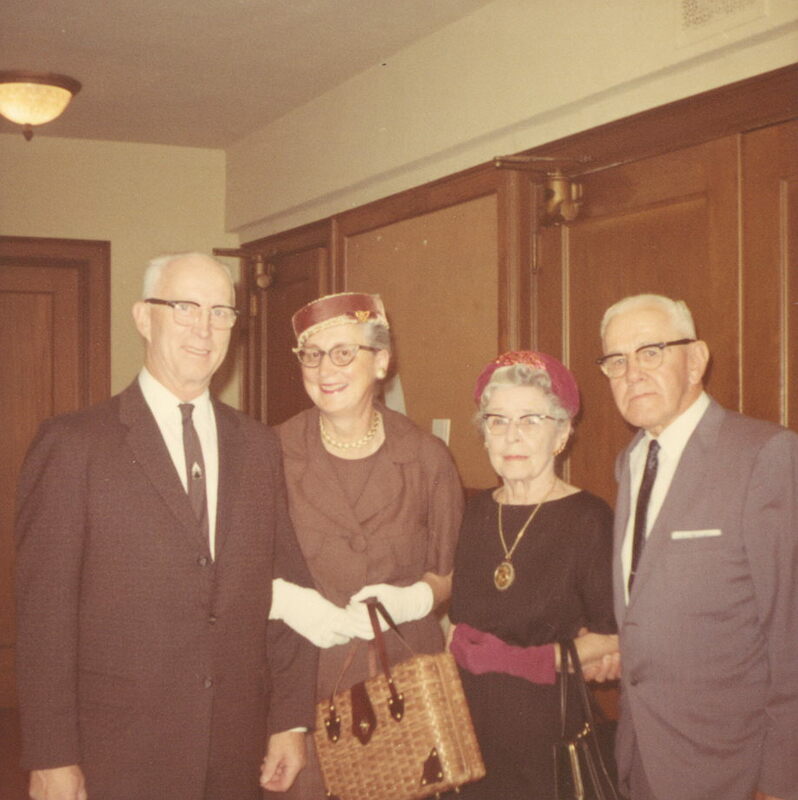 Dr. & Mrs. Rufus Reitzel, Mr. & Mrs. Hugh "Philip" Whiting. 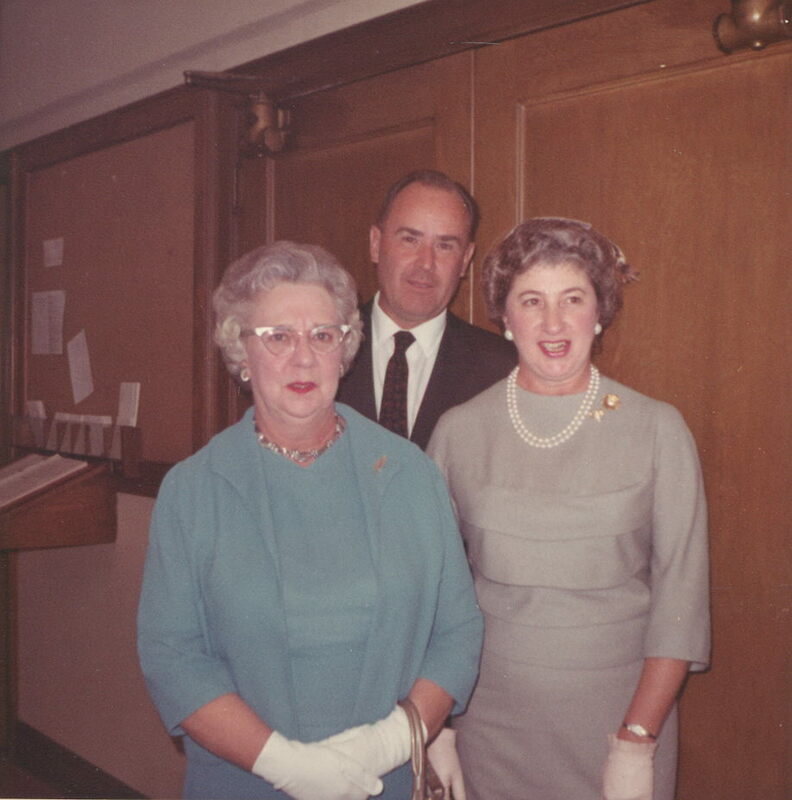 Judge Trombley, Mrs. Lucile McKenzie, Edward Sherwin. 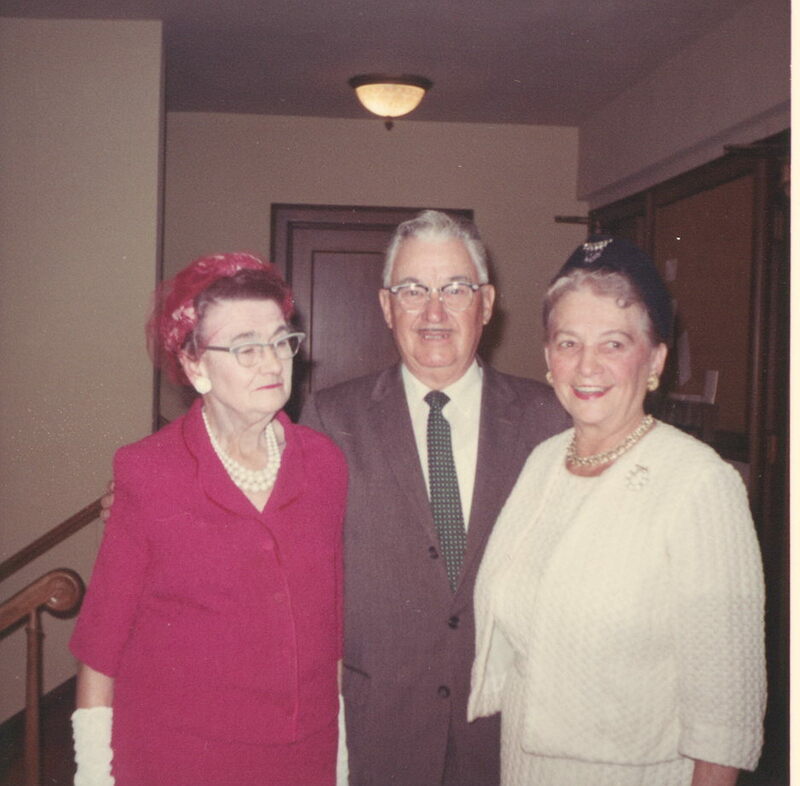 Mrs. Lucile McKee, Mr. & Mrs. Bob Schnaufer. Mr. & Mrs. Arigo Baldini. 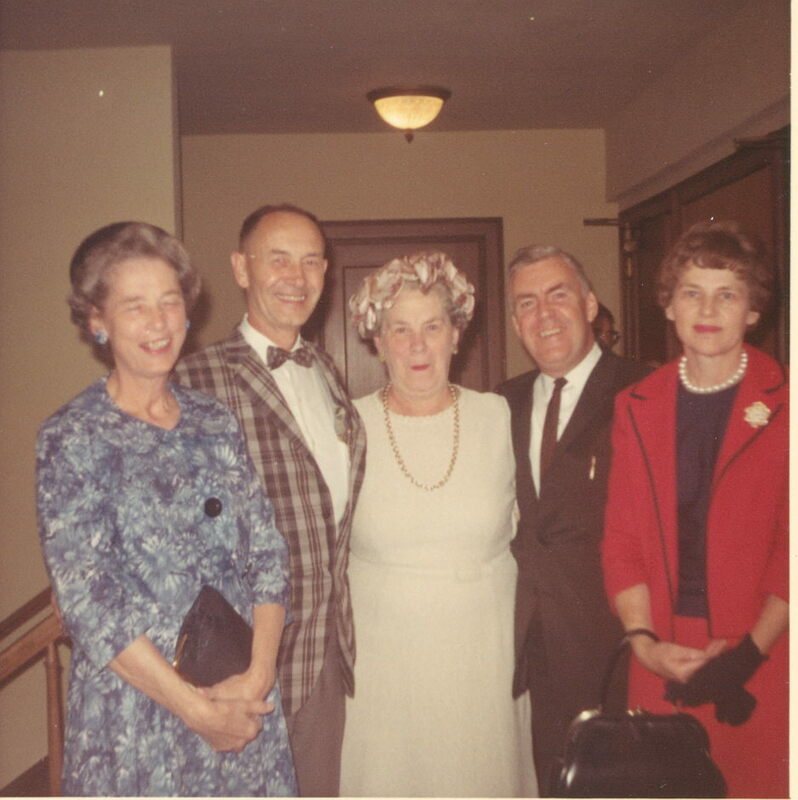 Mr. & Mrs. Tom "Bill" Nunneley, Mrs. George Pingle, Mrs. Howard Fenton, Mrs. Austin Heine. 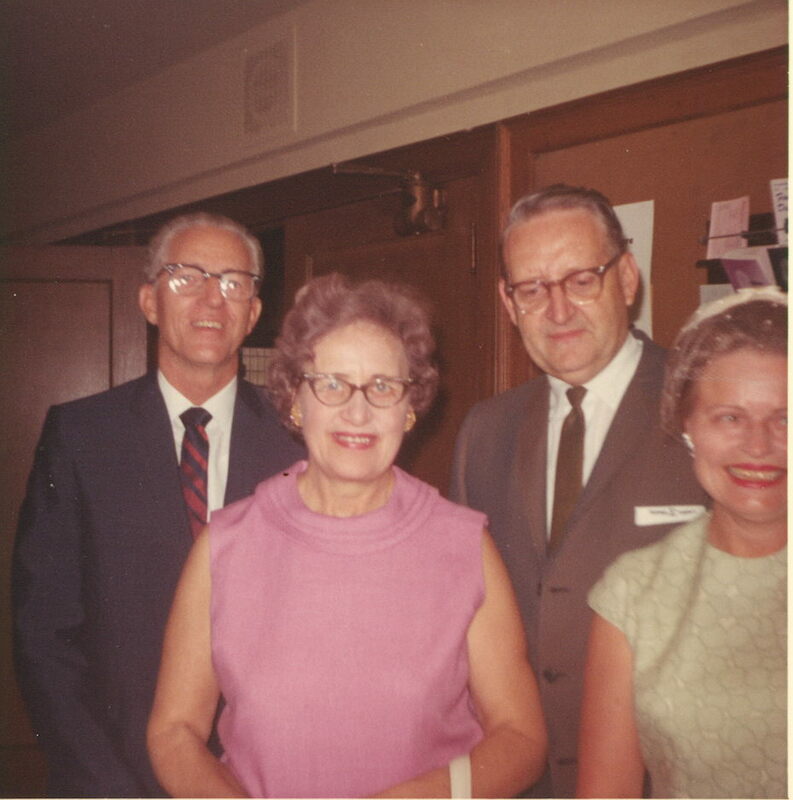 (Rye Donaldson Heine is the grandmother of my childhood friend Mike Arbisi and his cousins James and the late Robert Brown.) Here is a little Donaldson History. As a photo type person I am amazed by the quality of these photos. It appears from the back of one of the prints that the original photos were actually taken with Kodachrome slide film and then prints were made from the slides. The prints are 3.5" by 3.5" (i.e. they are square) However, 35mm film is rectangular and not square. As a result you can see in many of the photos that the persons on the extreme sides of the photos were cut out when the rectangular slide image was cut to fit on a square print. I also wonder if these were not done by a professional photographer or if Mr. Walters himself was not an extreme photobuff. I wonder if professional lighting was set up near an entrance to get a shot of everyone when they walked in. In those days indoor shots were taken using flash bulbs. I have tons of slides that my dad took at this time, but they are all outdoor shots. 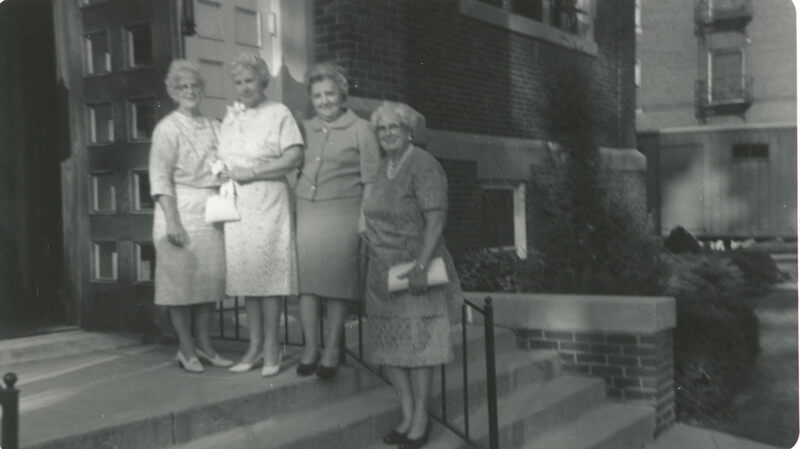 50th Wedding Anniversary 9/66, First Methodist Church, Mt. Clemens. Hazel Smith (You don't see many "Hazel's" these days.) Gladys Anderson) Lillian Sebolt. So, where was Doug in 1962? I may not have attended Mr. Walters' retirement party, but I did attend a party of another mover and shaker in Mt. Clemens. This is the 4th birthday party of Mike Arbisi, grandson of Rye Donaldson Heine. Standing left to right Keith A. 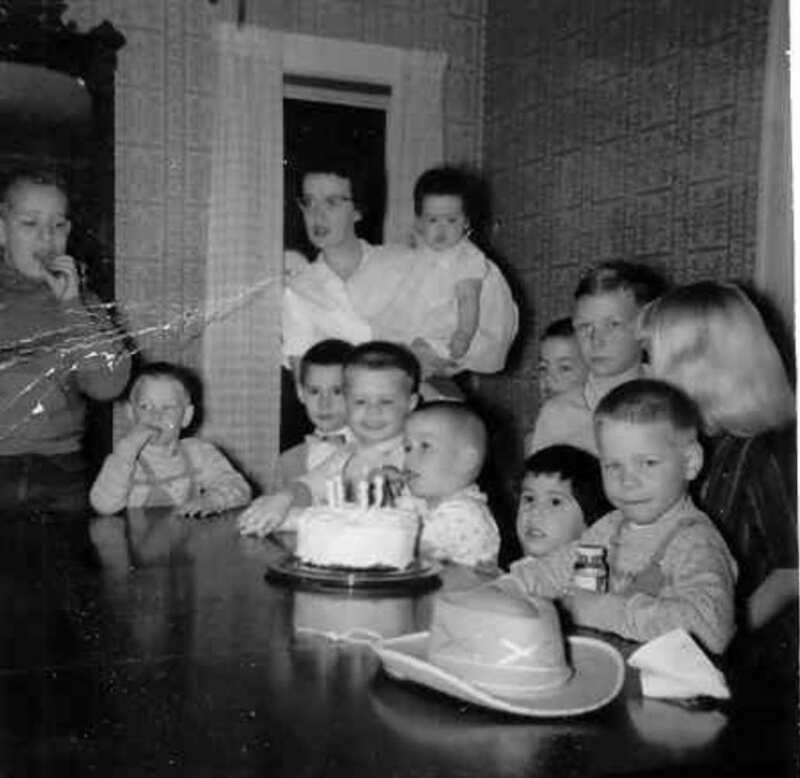 Brown, then one of the Brown twins - either Robert or Jim, next to him wearing the bow tie is Peter Kessler, next to him is a dashing 4 year-old Doug Fejer, next in front of the cake is Mike Arbisi, standing behind with only his face showing is Paul Arbisi, the taller boy is Kerry Crumb, the blond girl is Nancy Brown, standing by the table next to Mike is Shelly Kessler holding the drink at the end of the table is the other Brown twins. (The Browns are Mike's cousins.) Standing by the window is Mike's mother Cynthia Arbisi and she is holding Mike's sister Sarah. 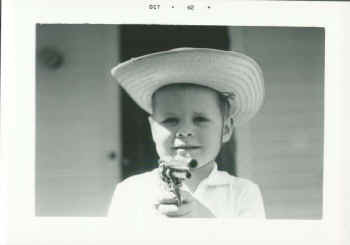 I could not help but post another photo of me in 1962. This photo demonstrates that it was my destiny to grow up and leave Mt. Clemens for Texas. Edith "Precious" Herzenstiel was my step-grandmother, marrying my grandfather in 1949, I believe. She passed away in 1984. I'm sure that her and her husband, Frank, were good friends with the Stubbs as he had a key to the back gate at the Mt. Clemens Race Track, which Dr. Stubbs owned. Grandpa, his dog and I would walk there sometimes on the dirt track. Dr. Stubbs lived on Grandview, next door to Mr. Judd, who lived at the corner of Grandview and Riverbank in Harrison Township. Mr. Judd was a very kind man. He repaired my bicycle on a few occasions as a neighborhood kid in the '70s. Lots of familiar names from Old Mt. Clemens. A blast from the past: Mr. John Vice. My boss (and owner) when I worked at Mt. Clemens Credit Bureau. He pulled me aside one day and told me I was laughing too much during work. Nineteen years ol...d at the time I said, "Mr. Vice, if I can't have fun while I'm working, I just can't work here." That was the end of that. I continued to work there and laugh as I worked. That was my favorite job of all time. My sister Cassie worked there first, then I applied a few years later and got the job (no experience) on the reference of my sister. Later, I brought in my brother Greg. It was a family affair. I was looking at the web and happened upon the Charles Walters retirement party! My name is Matt Walters and my sister Lyn who sent the pictures didn’t let me know about the site for whatever reason. 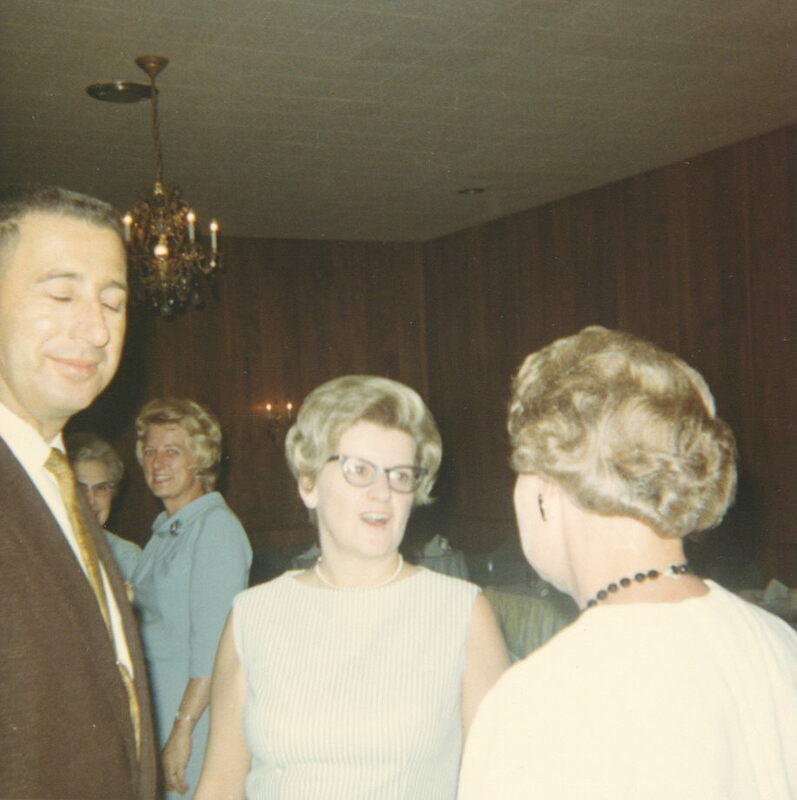 I do remember many of the people in the photos from the Club Rotary grandpa Walters used to take us to each Christmas and many of the people pictures there had kids and grand kids I chummed around with way back when. As you said Grand Dad’s bank was open through the depression but I might add Grand dad Walters also printed US paper money right in the bank basement as authorized by the treasury! His signature is found on the money since he personally endorsed it! I am told Lyn has obtained one of those bills. 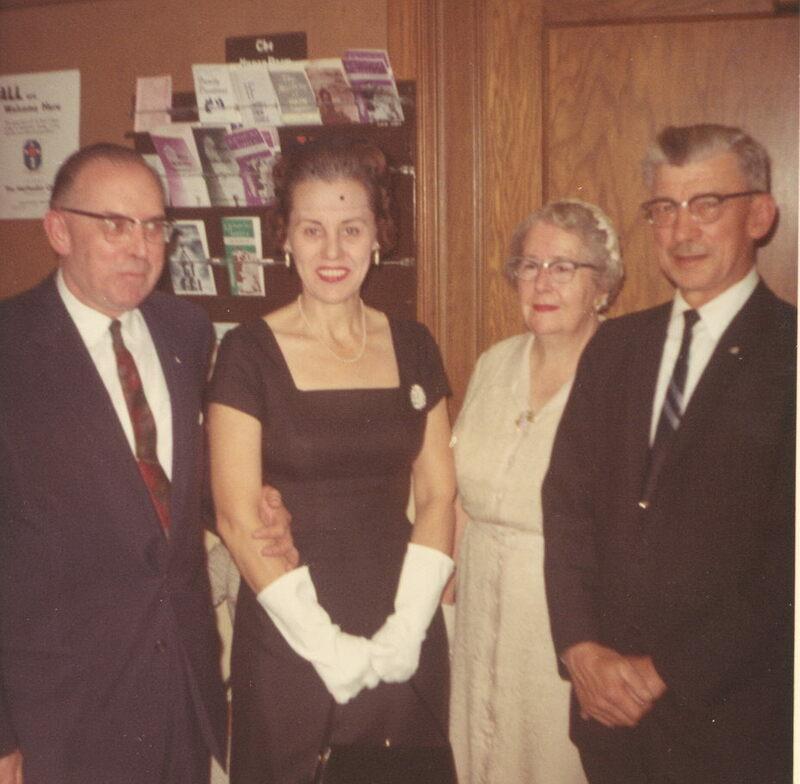 Lyn may not have told you this but the First National Bank was in our blood pretty deep. Charles was president and his vice president was George Bedard. President Charles’ son “Robert” (my father), fell in love with vice president George’s daughter “Carol” (my mother) and the rest as they say is history! 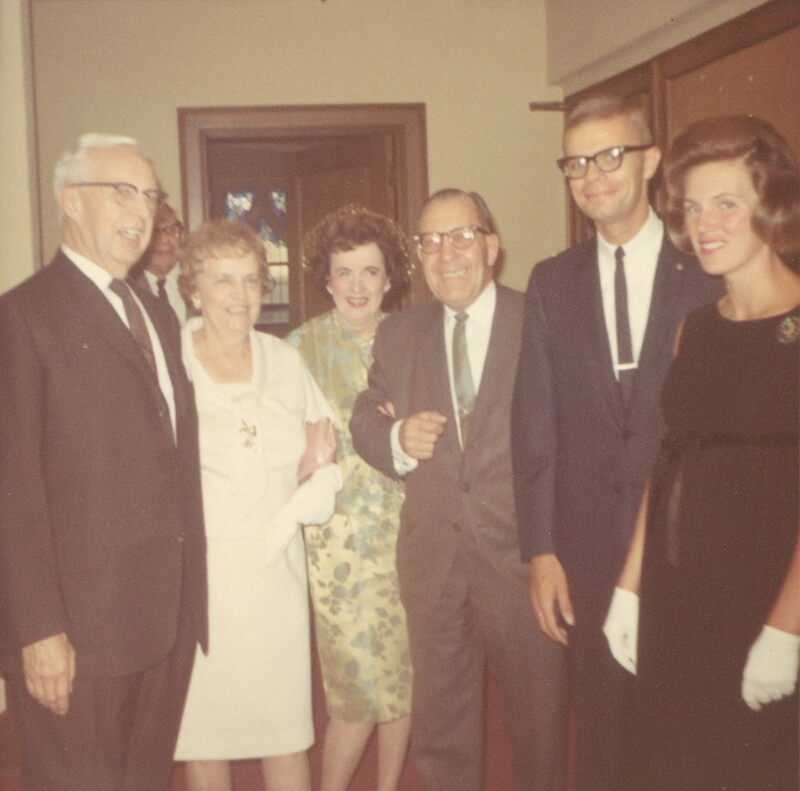 There were quite a few Walters in town as I was one of seven children. So a generation of Mt. 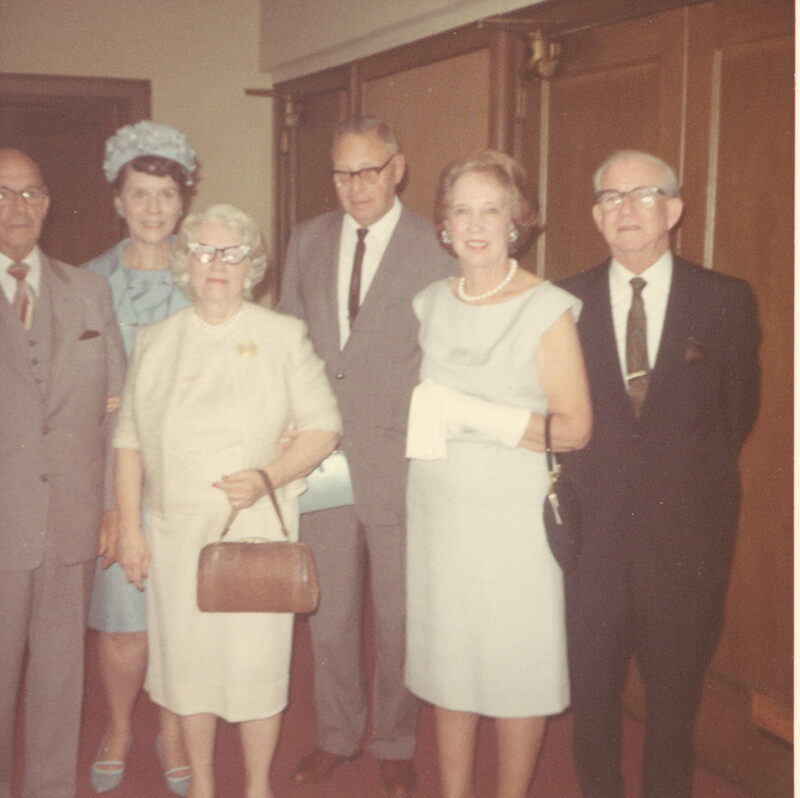 Clemens life, from the 50s into the mid seventies, had our clan in the area. Fred and Sally are the only ones still living in the city. Carol is in Clinton Township, Pete is in Imlay City, Lyn is in Texas as you know, and I am in Sterling Heights. 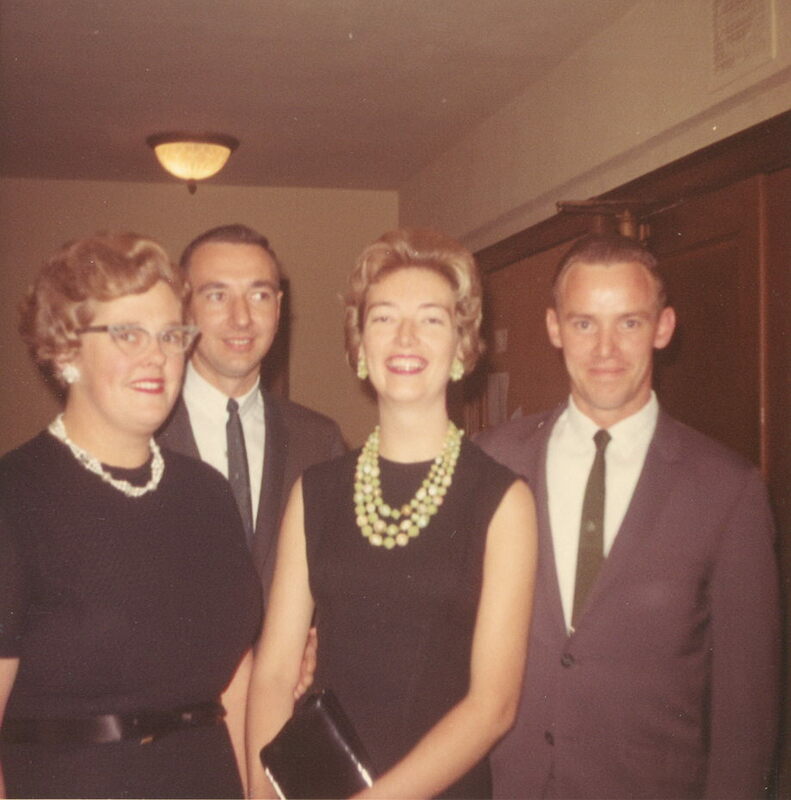 Tragically we lost Doug and Ted in a freak accident along with Dad (Robert) in 1968. The incident was front page news for a while as the story unfolded. I have the archives from the papers from that week. The short version is this: Dad, Fred, Myself, Doug, Ted, and our friend Mike Herron (also of Mt Clemens) were on vacation in Yellowstone Park and beginning to make the long drive home. Our Volkswagen Bus veered off a cliff and tumbled into the rapids of the glacier fed Shoshone River. The bus was smashed and tattered as rolled over and over and then entered the water, but several of us escaped alive! My dad, after pushing me to shore (since I couldn’t swim), returned to the rapids to save our brother Ted! The last time I saw Dad he was methodically swimming down river searching the white water ahead for Ted. He made no attempt to save himself from the river and was ultimately engulfed by the near freezing waters. Fred and Mike Herron made it to the safe side of the river and alerted a ranger who was camped there. Mike had to physically restrain and hold Fred down to stop him from reentering the waters until help arrived or we would have lost him too. I was stranded across the river taking refuge in a cave and covering myself with loose dirt to stop the freezing chills. Ted’s body (5) was netted two miles down river, Doug’s body (7) was brought out from the vehicle by a diver. I was rescued from the far side of the river with the help of a huge horse that was trained for crossing the raging torrents. Dad was lost and presumed drowned after a time and the search for him ended about a month later when a fisherman happened upon him. According to locals that spot on the river was a place where quite a few lost their lives including a man and his wife crossing on horseback the previous summer. Fred, myself, and Mike Herron spent several days on a Billings Montana chicken farm awaiting return to Mt. Clemens. It was nice to see Dad, Grandpa and friends on your site thank you for that. I was tipped off to the CWRPrty by my good friend, Robert C. Ward, D.O., now of East Lansing MI, son of the late Campbell A. Ward, D.O. and Iyla Ward. CAWard was a founder of MCGH. He and my father, Paul S. Hirt, were great friends, fellow Masons and founders of the Hi-12 Club in MC. I'm sure that Bob, or his brother Doug, will write you about the Ward family involvement in MC and with MCGH and the AOA. Having been born in MC (1934) and raised there, I knew many of the folks in the pictures of the CWRParty. I'll only comment on a few. My longtime law partner, Bill Nunneley is mis-identified as "Tom" Nunneley. He and his wife, Edwynna, now both deceased, appear in one of the pictures. In 1903, Bill Nunneley's father, Bert V. Nunneley, graduated from UofM Law School and returned to MC, his hometown, to practice law and coach the high school football team. Bert and his wife, Mildred (known to the family as "Dowie") had two sons, both of whom became lawyers. John H. Nunneley went on to be Michigan's pre-eminent municipal bond attorney with Miller Canfield Paddock & Stone in Detroit. Bill returned to MC in 1933 and practiced with his Dad, except for a four year army stint during WW II. John and his wife Marjorie had three children: Jean MacArthur, Mary Garberson and Bert V. Nunneley II. 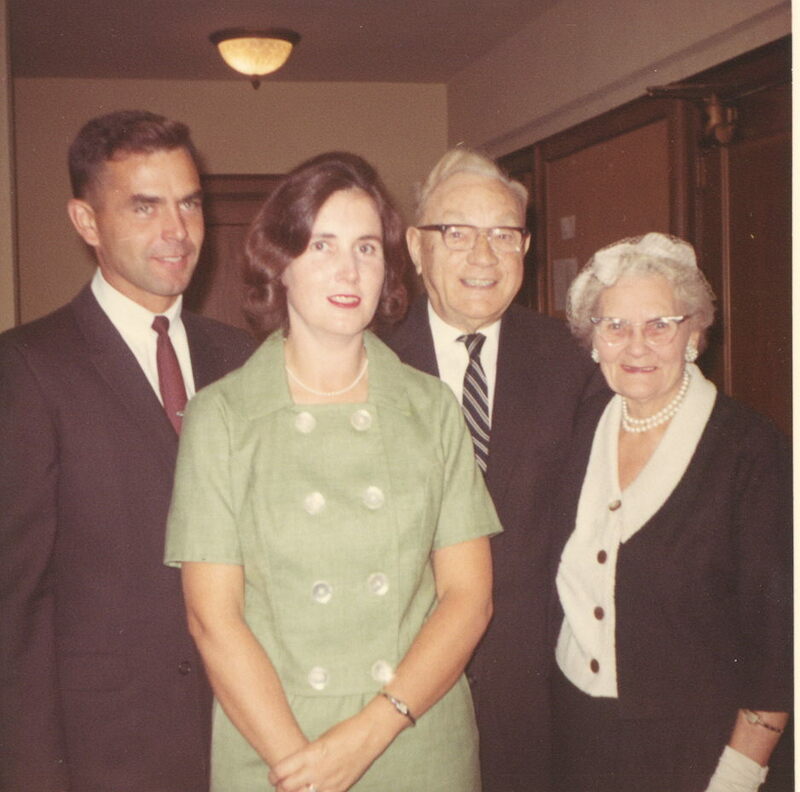 Jean, who died in 1992, married Don MacArthur, a local Dentist, and they had three children, the oldest of whom is John F. MacArthur, now a Mount Clemens attorney. Mary now lives in Florida. Bert is retired from Comerica and lives in MC. 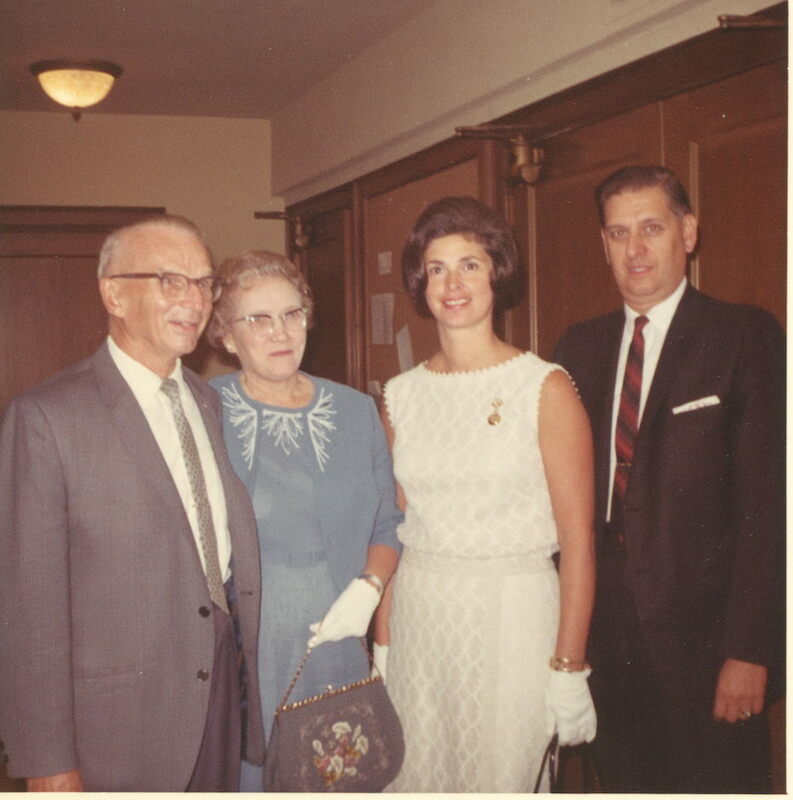 My father, Paul S. Hirt, came from Richmond, married a coed from UofM (my mother, Gladys Hinmon of Dayton OH), and came to Mount Clemens in 1927 after UofM Law School, to practice law with the Lungershausen Weeks law firm. In 1937 or so, he and Hugh H. Neale split off and formed the firm of Neale & Hirt. My dad died in 1954, when I was a sophomore in college. 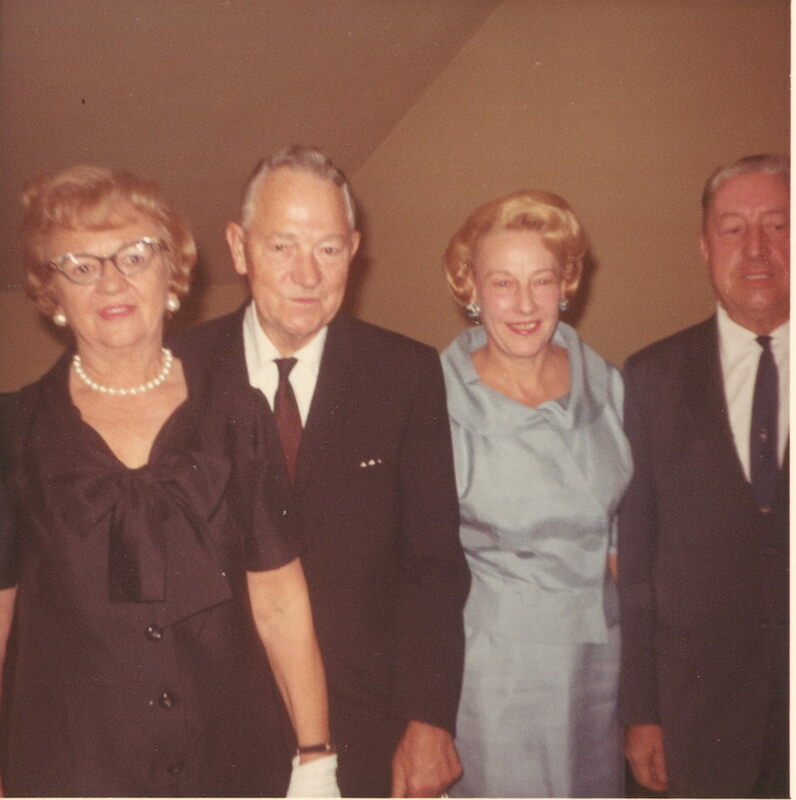 In 1955, Marjorie Nunneley died and in 1956, my mother, Gladys Hinmon Hirt, married John H. Nunneley. 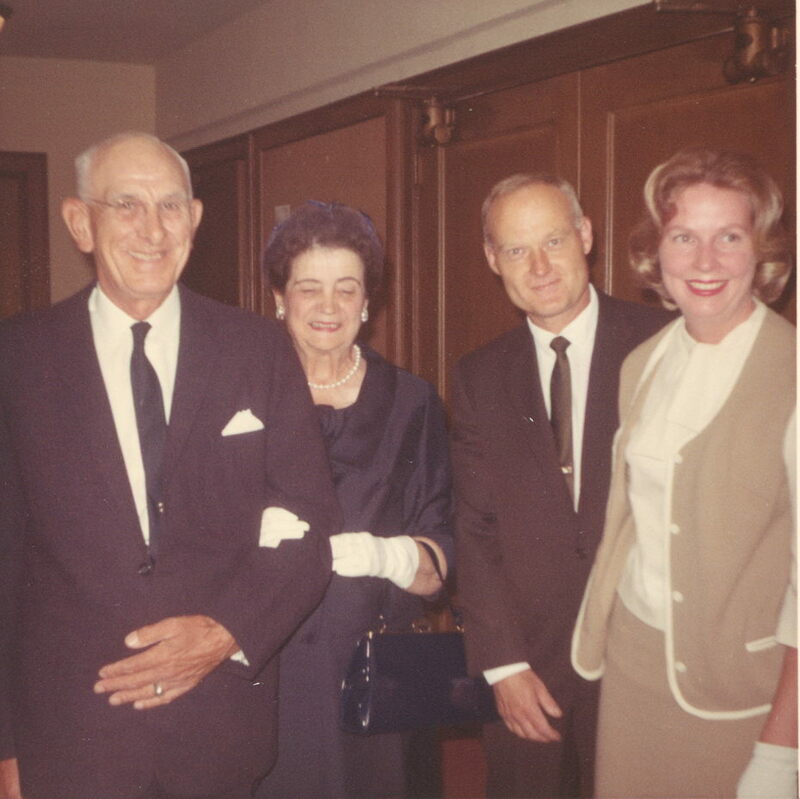 In 1959, after completing my studies at UofM Law School and passing the bar exam, I joined the firm of Neale & Steeh for a brief stint. 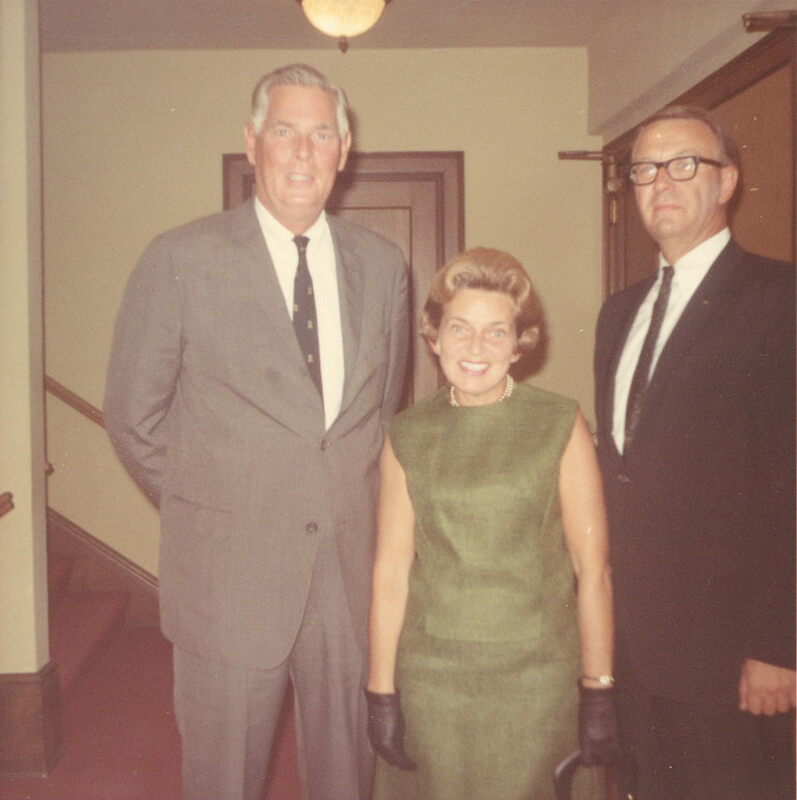 In September of 1961, Bert and Bill Nunneley took me into their firm. I became a partner in 1964. Since then, the firm has gone through a number of metamorphoses and is now known as HIRT, MacARTHUR, RUGGIRELLO, VELARDO, NOVARA & VER BEEK, P.C. I am semi-retired and "of counsel" to the firm. John MacArthur, who joined me in the practice of law in 1990, is a principal in the firm. He is my step-nephew. Thus, in 2003, the firm celebrates 100 years of legal practice. 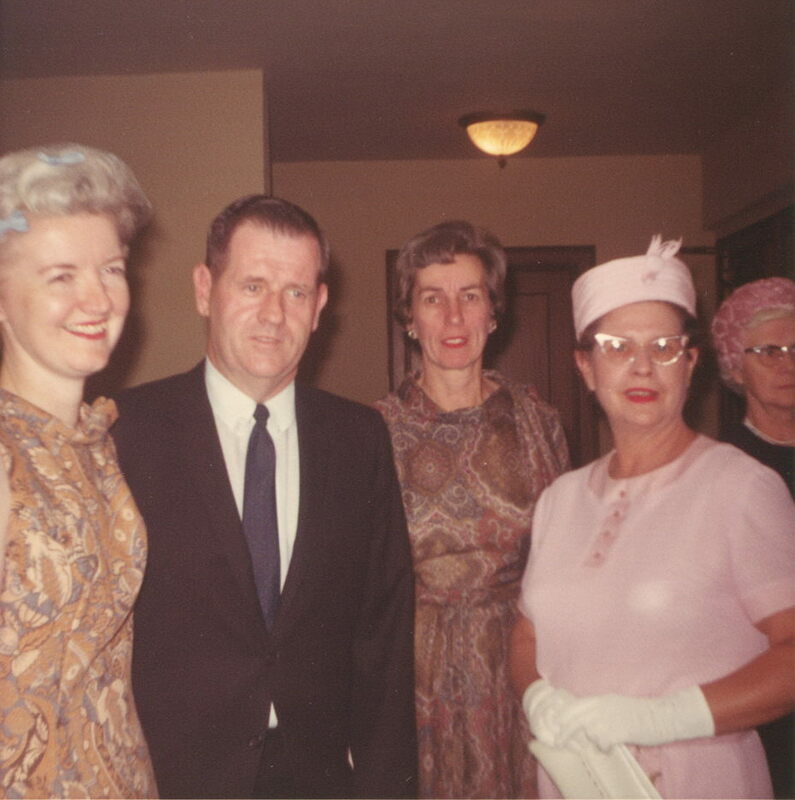 Bert V. Nunneley was the first generation. John and Bill Nunneley and Paul S. Hirt, the second generation. I represent the third generation and John MacArthur the 4th. I lived in MC for 58 years, almost all of them on Belleview Avenue. My folks rented #30 for 4 or 5 years in the late 30s. Then they bought #52, where my brother John ("Jake") and I grew up. 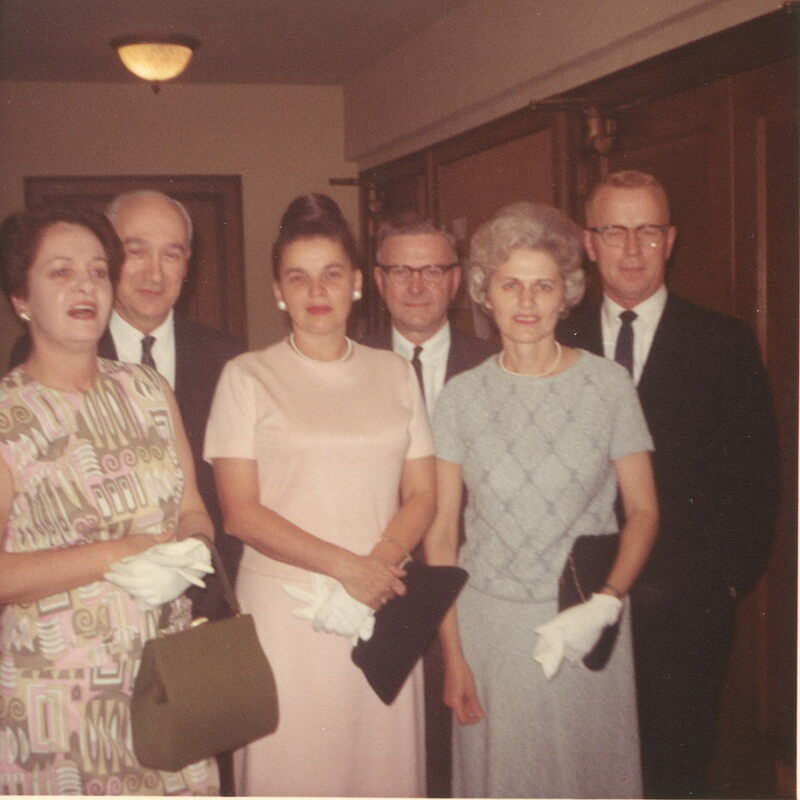 In 1956, when Mom married John Nunneley, we moved to his home at #26. Mom kept #52 and let Don and Jean MacArthur rent it. In 1959, when I returned to MC with my pregnant wife, Ardis, we moved back into #52 and lived there until, after three kids, we outgrew it. (Dave Bonior bought that house a few years ago when there was some heat about his residence.) 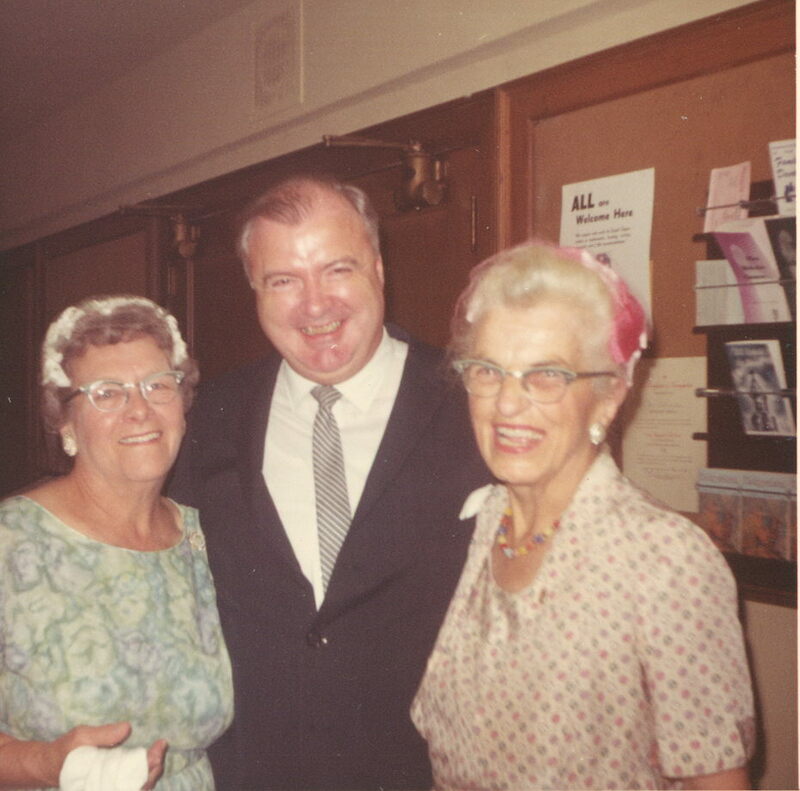 In 1973, we purchased #61 from Sam and Florence Malbin (who are in the CWRParty pix) where we lived until 1993, when we moved to St. Clair. Sometime this winter, I will review the pix again and perhaps offer some more comments about the folks I knew--Bill Berkhof was my next door neighbor at #48 Belleview. 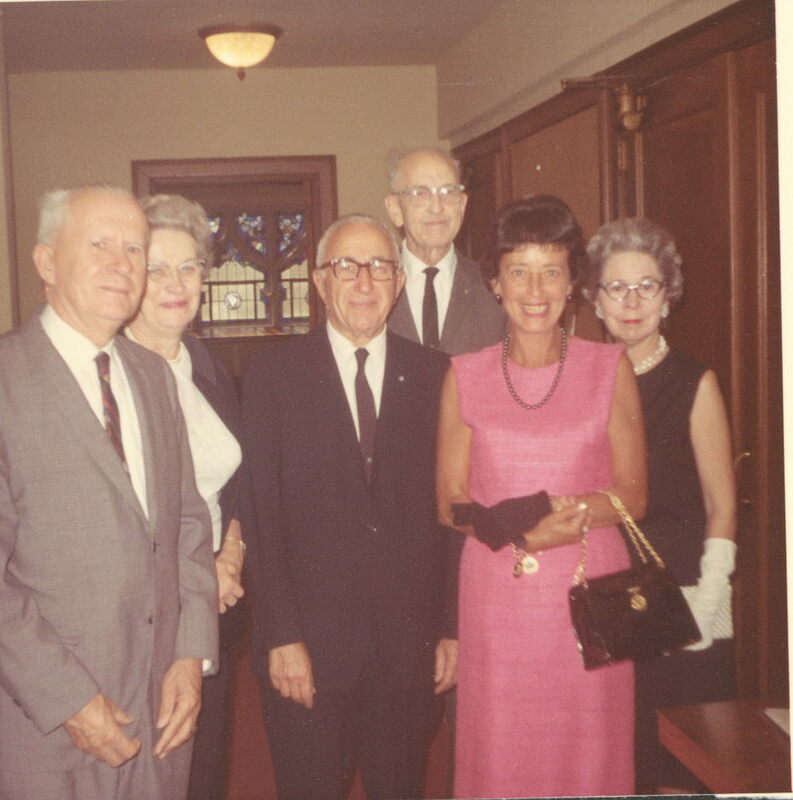 Otto and Ruth Nickel were longtime friends of my folks and purchased #26 from John Nunneley when he and Mom moved to Detroit in the 60's.Many of the folks pictured were clients, fellow Methodists or Presbyterians, Kiwanians, or friends. Thanks to you and whoever else is responsible for the CWRParty! Have looked over your site and even downloaded a couple of pictures. You've done a grand job on it. 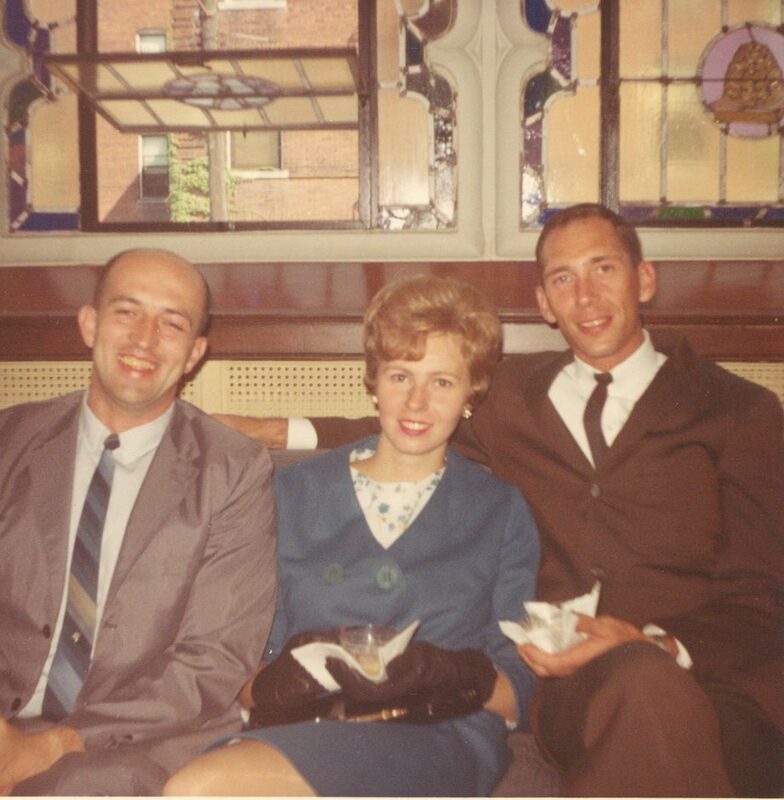 My wife (Phyllis Flaga) worked for United Bulb Company back in the early 60's so I copied the ones with Mr. DeGroot and Arie. I also live in the home which Frank McVay once lived in on Chippewa. Plenty of others that I know/knew as well. 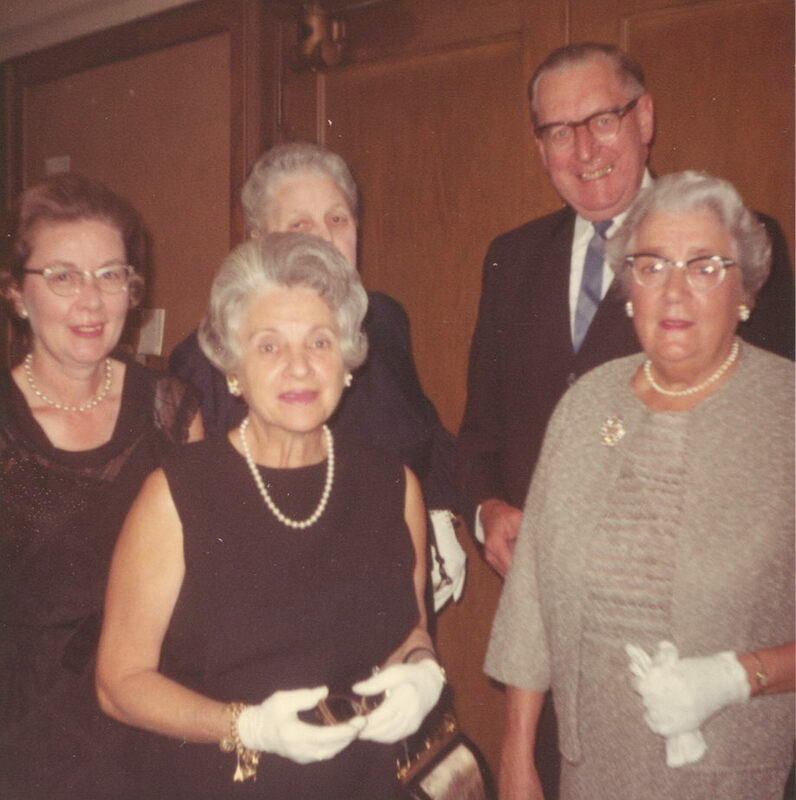 Nelly Longstaff, The Judds, Diane Donaldson, The Diehl's, Mrs. McKee, Marjorie (Babcock) Peters, Mr. & Mrs. Frazher, Mr. & Mrs. Stadler, Judge. 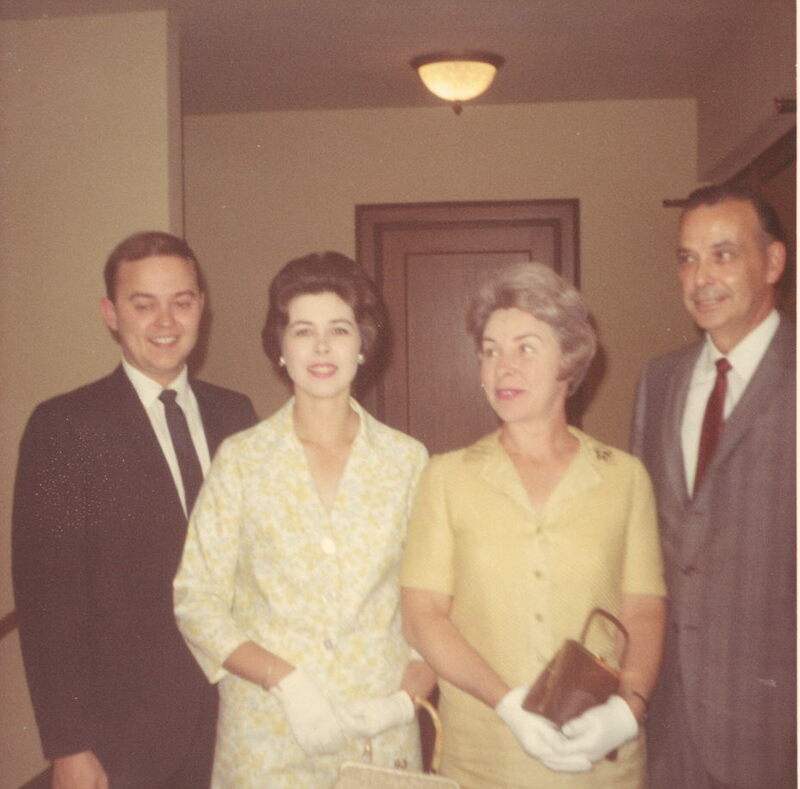 & Mrs. Kenneth Sanborn, Mr. and Mrs. Roy Nickelson, Mr. & Mrs. William Berkhof (His daughter Carole was in my class. 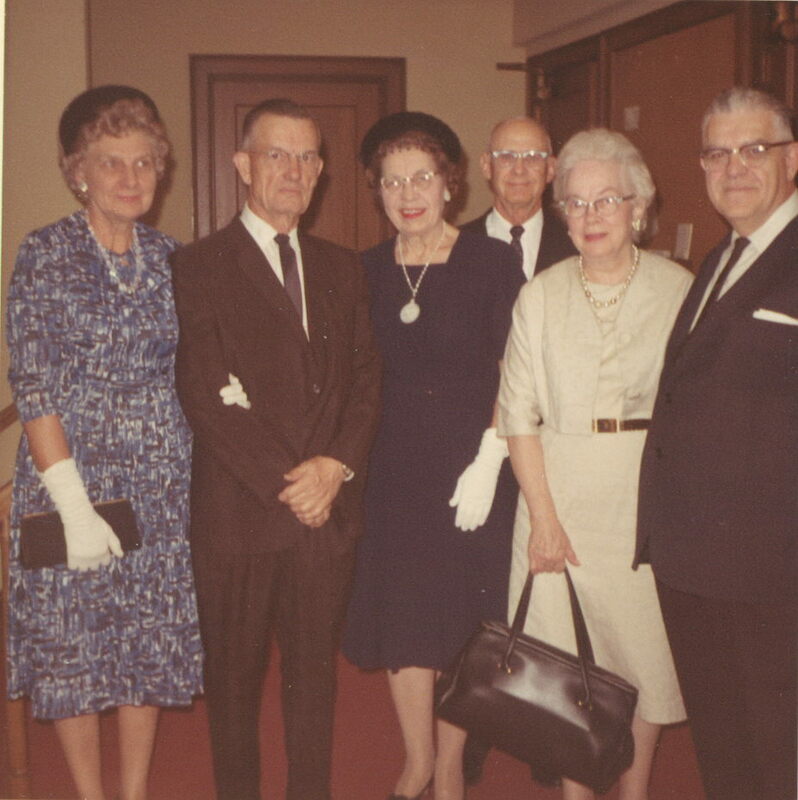 ), Mr. & Mrs. Eldon Valentine (I believe that their daughter Carole was a year ahead of me in school), George Priehs, Otto Nickel, Paul Sonnenberg, Mr. and Mrs. Clarence Barck, Gerry Sans (was a good friend), Doc. Stubbs and my father were good friends and Nellie Kidd. I have been collecting Mt. Clemens goodies for over 30 years. Have a ton of cards, I believe about 1000 different, from this great city. Lots of bottles, and a good amount of post card views painted on ceramics, Cutter Guides, City Directories, etc. 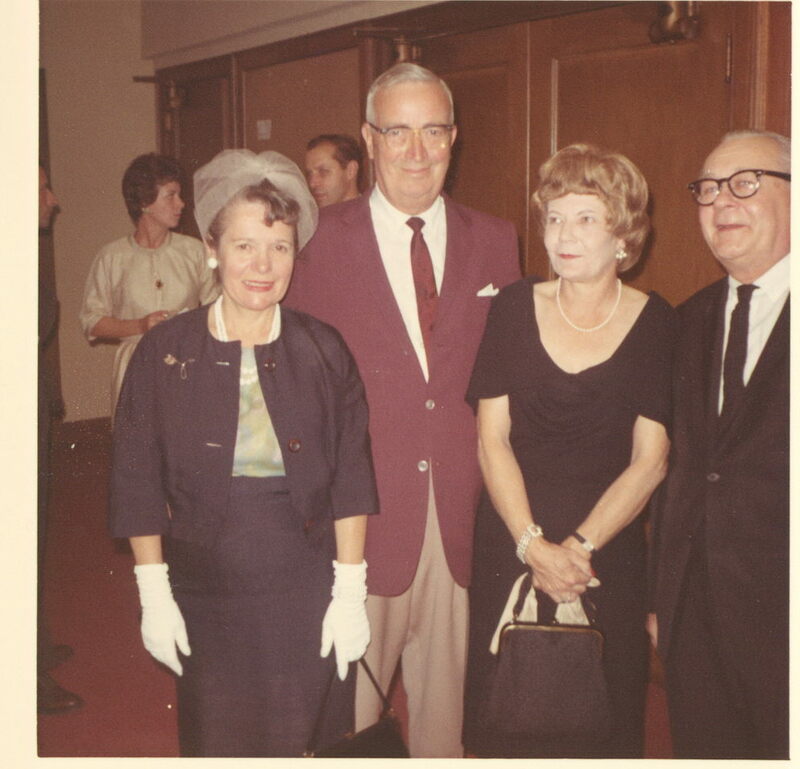 My family owned the Miller's Shoe Store, at 49 N. Walnut, across the street from Harry Diehl Sr. had his shoe store. Miller's was founded in 1909. When you were in school it was Rosso's Sporting Goods, right next to Mayfair Camera. When we closed the store in 1958 do to my Uncle Donald's death we sold the remaining stock to Harry and the building to The Rosso's. 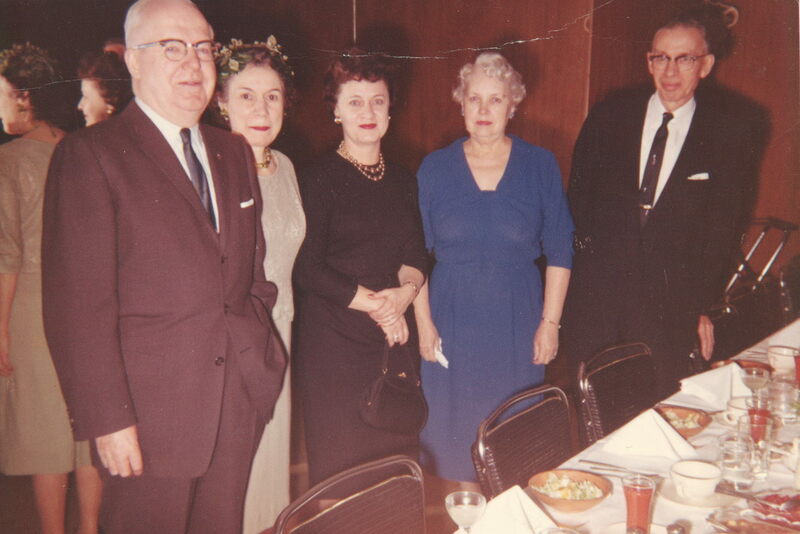 The Ullrichs which owned the Medea and the Krausenecks are 2nd cousins. 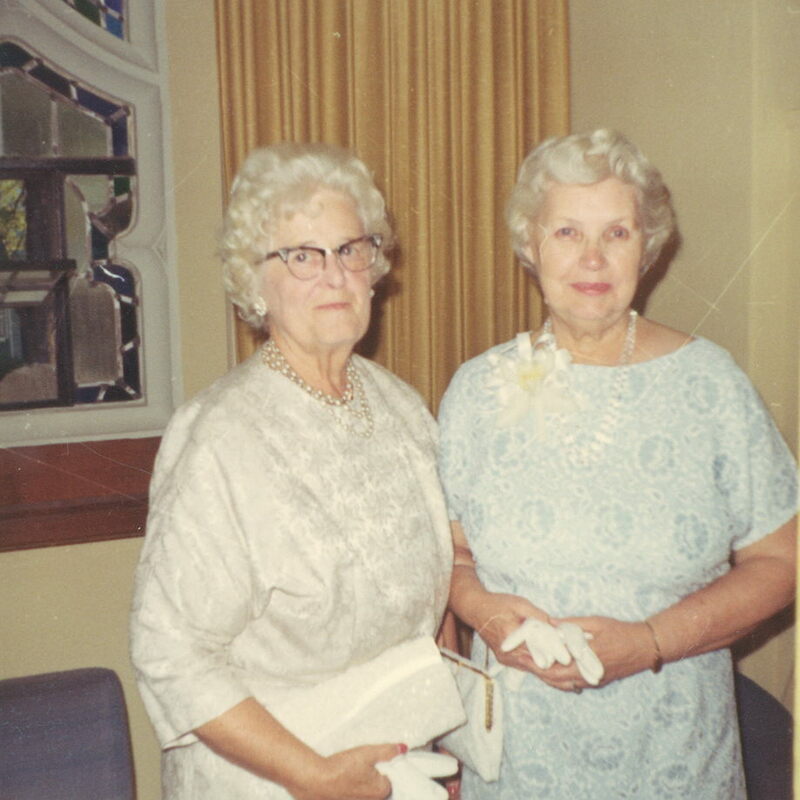 Both families married Gundert Girls. You show a Mrs. Harrison in one of the photos. I believe that she was Mrs. Fred (Sue) Harrison of the Moravian Hardware Store. If so, her daughter Mary Alice and I were very good friends for sometime. 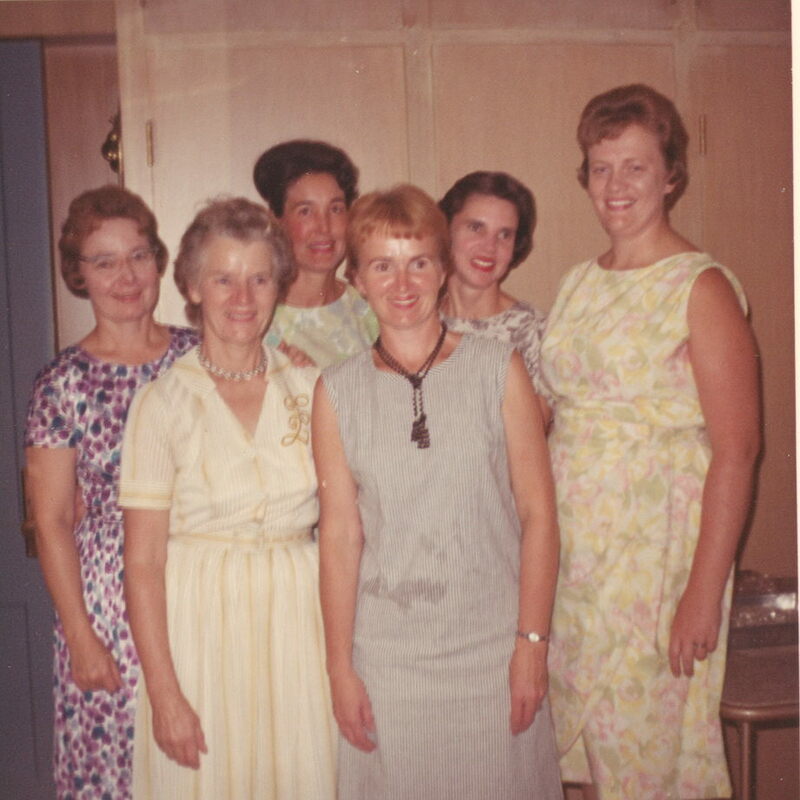 They as did my father owned a cottage in Fair Haven so Mary Alice and I spent a ton of time together. Thank you very much for the 1962 pix of MC folks -- I know most of them quite well, of course. 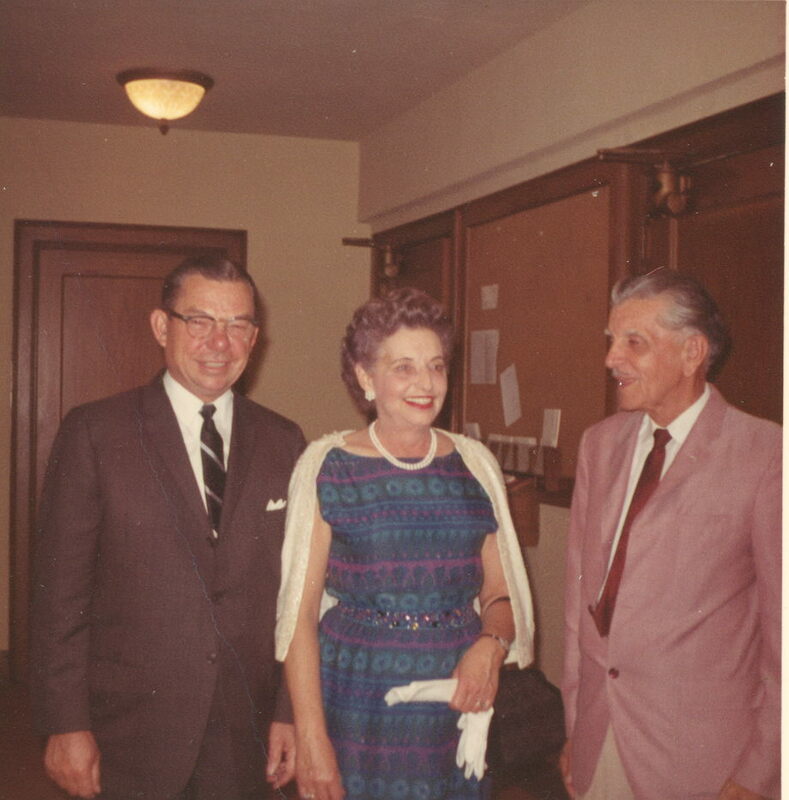 It was a special treat to see a picture of my aunt, Ruth Stubbs, and Uncle Clayton. 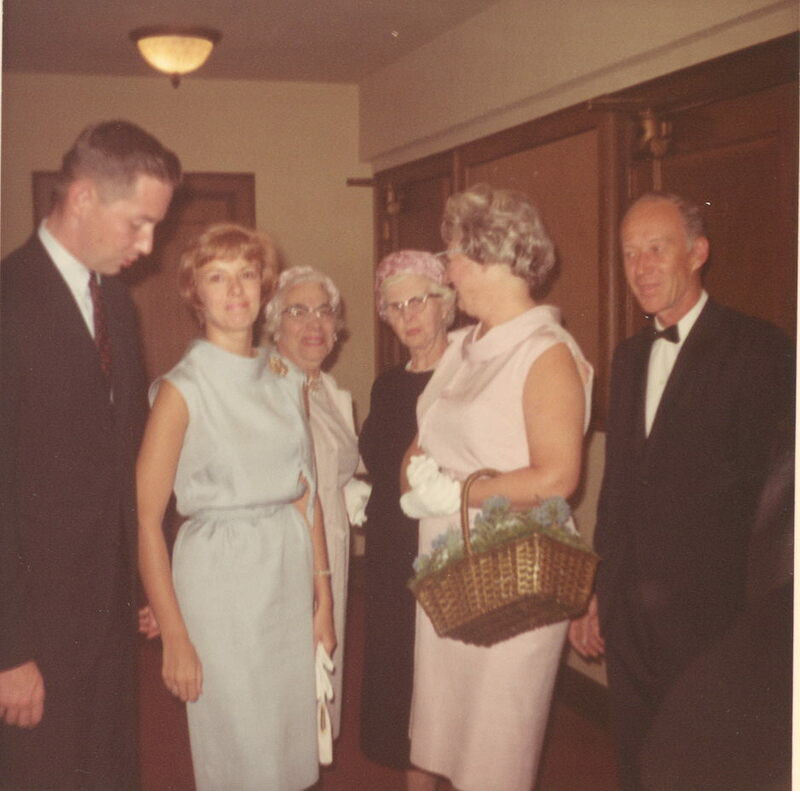 they gave me my graduation party at Whitehall, their home on Gratiot, which I think burned to the ground around 1964 or 5. 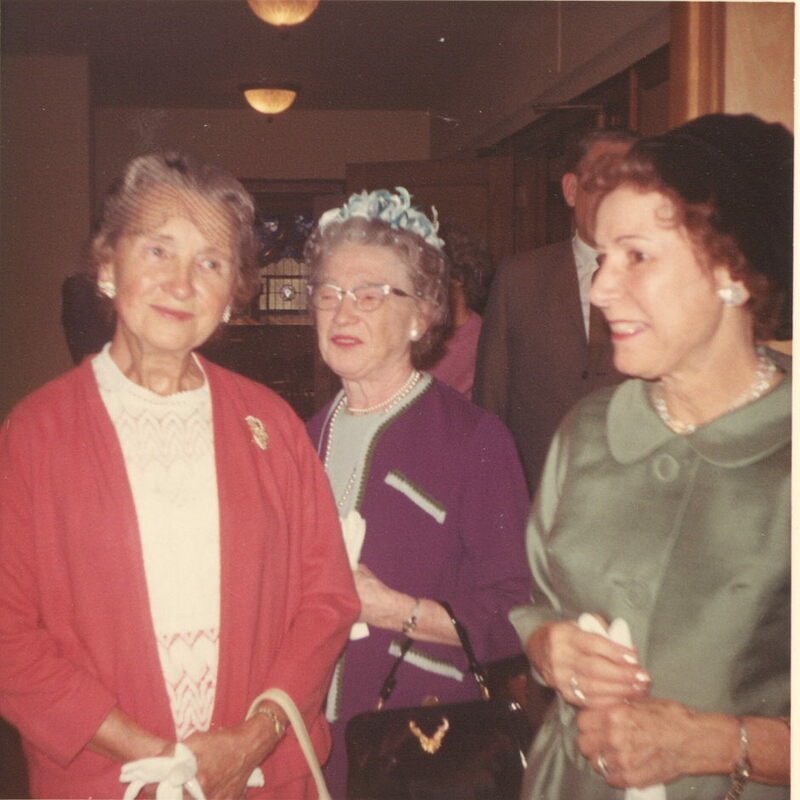 Rye Heine was my mother's cousin, and there are many more relations here. Rev. Richard Williams confirmed me in the Presbyterian Church -- I remember when he came to town, and I remember him speaking at my parents' funerals. Lee Kittredge was a social studies teacher (I think) in the 60’s and early 70’s. He died in the 70’s. Mr. Berkhof is at a retirement facility up north. Not sure where. 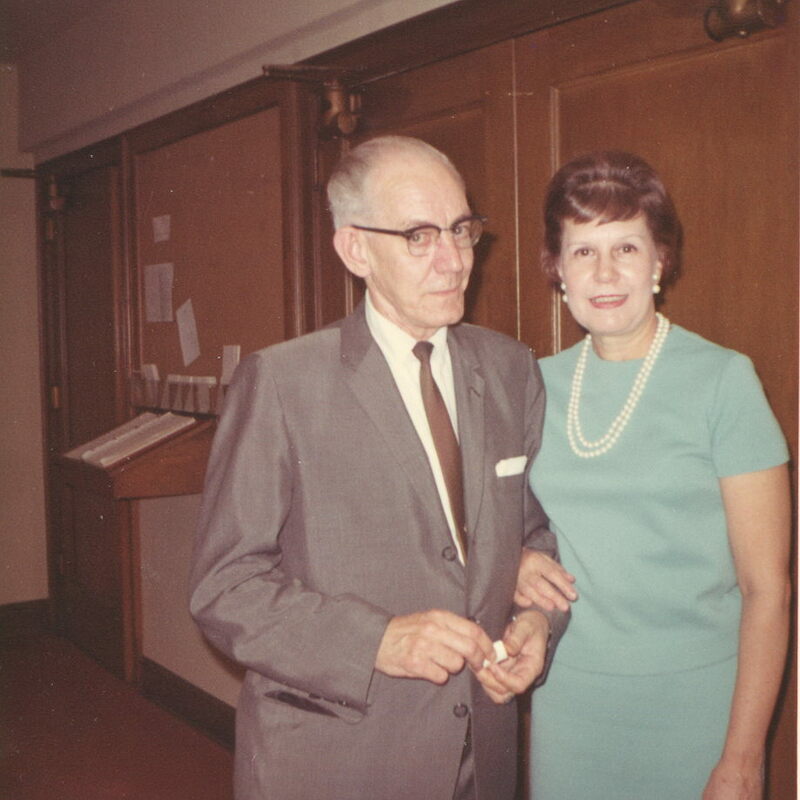 Hunter Judd was a woodshop teacher and Norma was a study hall supervisor before retiring. Tom and Nelly Longstaff were pillars of Grace Episcopal Church. Nelly, our church historian died recently. Otto Nickel had an insurance agency downtown MC for years. Ruth was an attendance teacher. 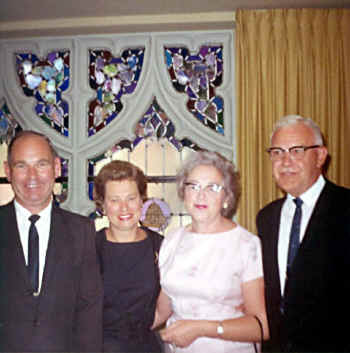 Chris and Mrs. Mathews were the parents of Dr. Mathews and grandparents of Chris and his brother (name?). Merle St. Aubin was a GM executive. 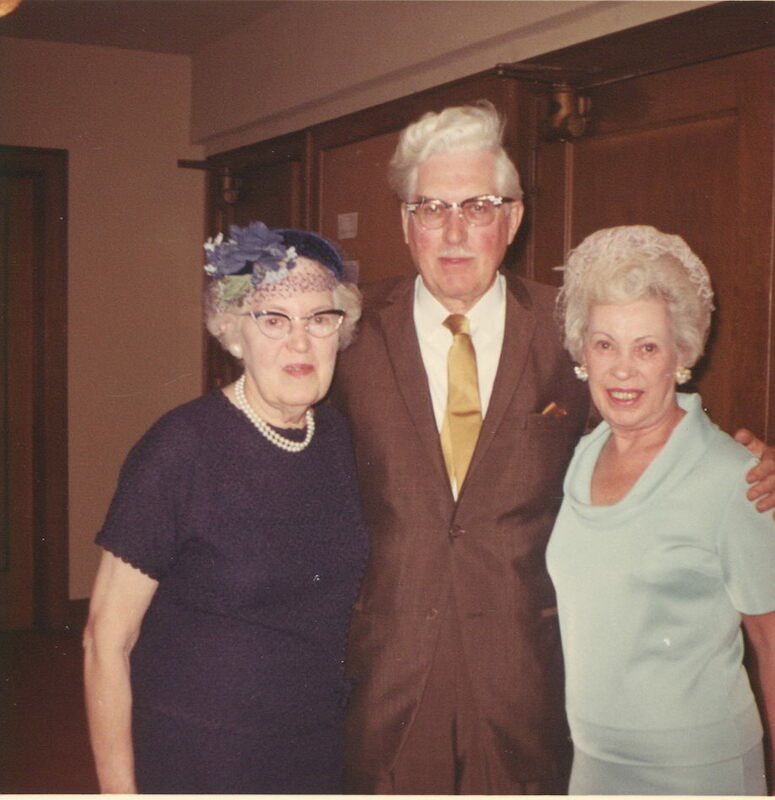 He and Helen were members of Grace Episcopal Church. 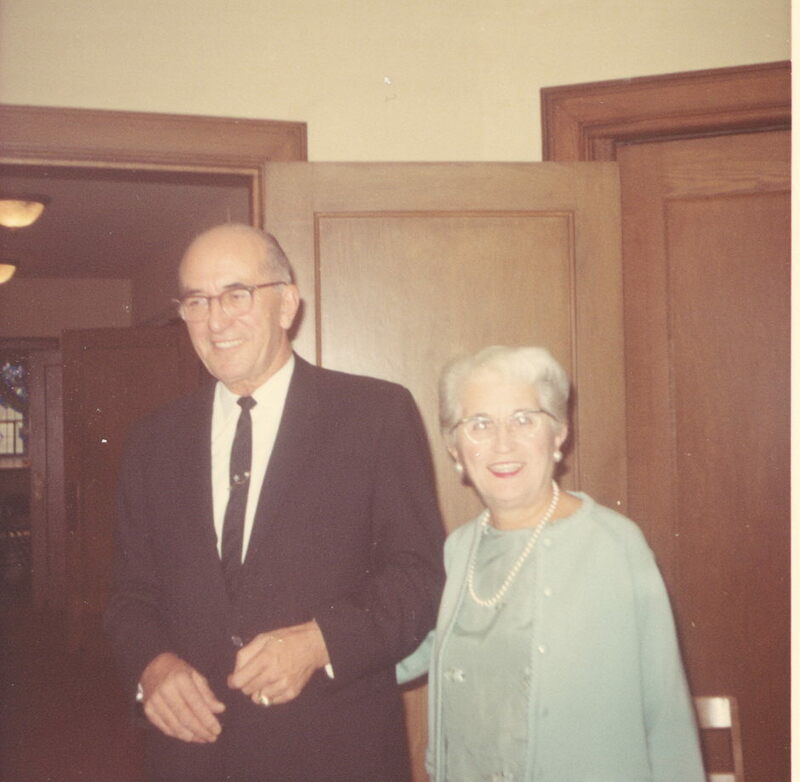 Mr. and Mrs. Penzien were long time teachers in Mount Clemens.